Family, Friends, Farms and Food – Sharing food, recipes, and anecdotes one bite at a time. Leave a comment Grass Fed Meat And Carbon. Everyone’s Missing The Point, Here’s Why. I’m not a fan of ripe bananas. If it a banana has even a HINT of a brown spot it’s inedible to me. Dead to me. I won’t eat it. I know, I know. It’s a quirk, but hey, I’m OK with it. 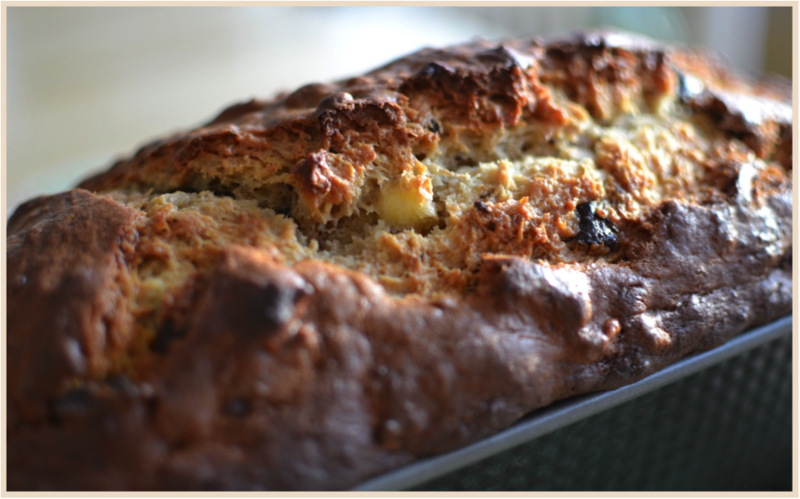 The bananas I use for a quick bread are ripe but don’t have lots of spots. I prefer the less sweet taste and firmer texture of a yellow banana. If you like brown bananas go for it! It will be sweeter and probably taste more familiar. Not many people use yellow bananas for banana bread. That’s my special banana weirdness. I recommend only lightly mashing the bananas. You will get some more tasty chunks of banana in the bread. 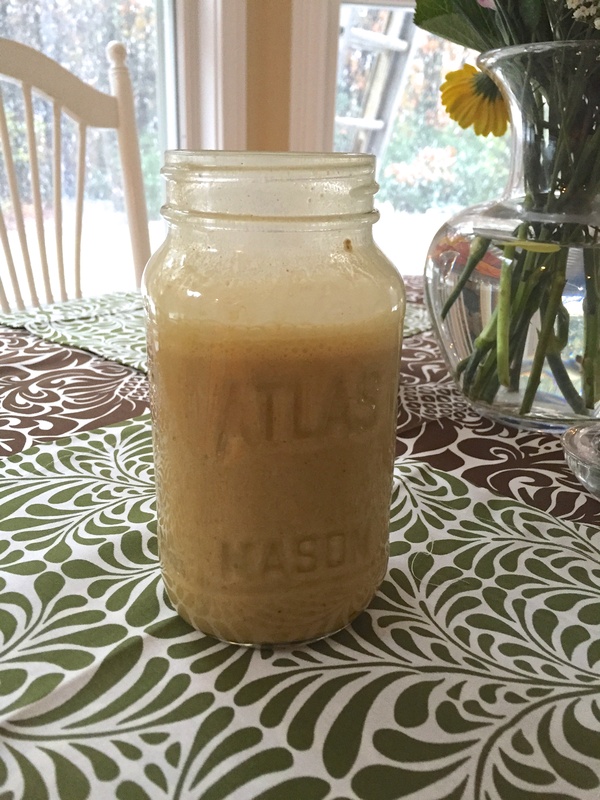 If you prefer brown bananas you may end up with more of a liquid after mashing. It will still come out great, it’s more a matter of texture and what you prefer. 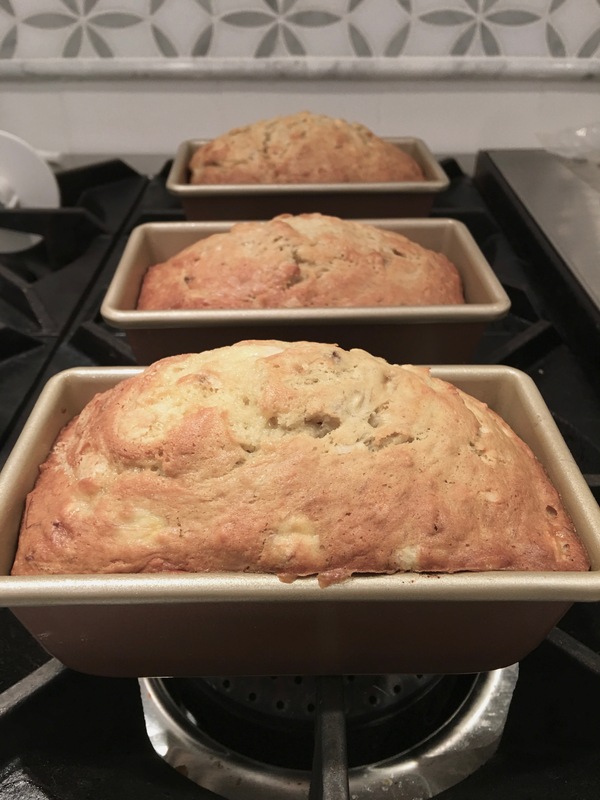 Note: With quick breads the standard is creaming butter and sugar, adding eggs one at a time and then alternating the dry and liquid ingredients, being mindful of not over-mixing. This recipe follows the same pattern. Measure out all ingredients before starting. I learned this lesson many years ago: mise en place, everything in its place. Read the recipe first, collect and measure ingredients, and THEN start your process. If you are making one 9 x 5″ loaf, preheat oven to 350°. If you are making the smaller loaves, preheat to 325°. Prepare your loaf pans with Baker’s Joy spray or butter and flour them. Set aside. In a medium sized mixing bowl, add the flour, 1/2C coconut, baking soda, and salt. Give a quick stir to combine. In a small bowl, combine bananas, yogurt, rum, and vanilla. Stir to combine. 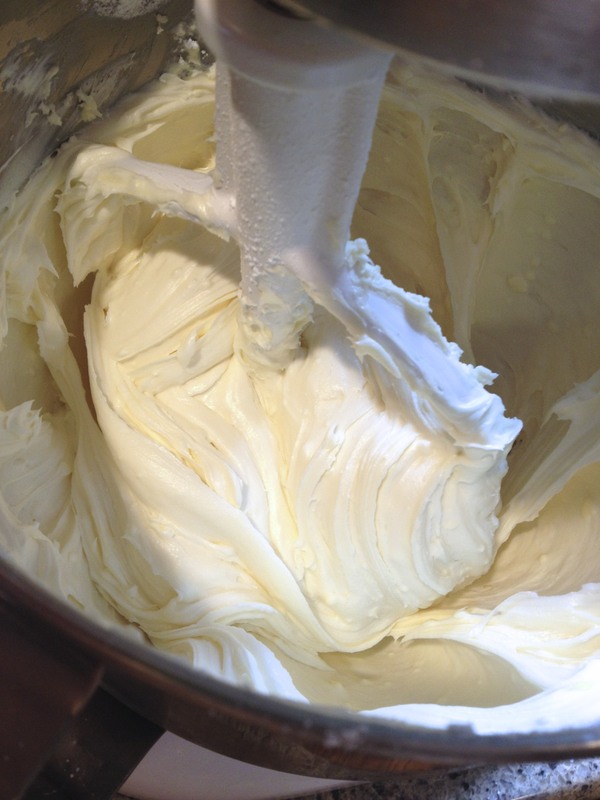 In the large bowl of a mixer (or deep bowl good for hand mixer) cream the butter and sugar until light and airy. Use a rubber scraper to scrape down the sides if the sides are not mixing well. Add the eggs one at a time and continue creaming them together until combined and light in texture. Alternate adding the dry and liquid ingredients to the creamed butter, sugar, and egg mixture. Do not over beat. Spoon the batter into your loaf pan or mini loaf pans (filling 3/4 full). Sprinkle the top with the 2T of shredded coconut that was set aside earlier. Bake one large loaf for 60 minutes or until golden and a toothpick inserted comes out clean. Bake the mini loaves for 30 minutes or until golden and a toothpick inserted comes out clean. Let sit in the loaf pan for 5-10 minutes until inverting onto a cooling rack. Once completely cool, make a glaze with the sugar and lime juice and drizzle over the bread. Recently, I was asked, “How do you have the time? Don’t you sleep?” Easy answer. I make time. Even when I worked outside the home for 40 hrs – plus another 10+ hours of commuting – I had time to do projects, take a class (or teach an additional class), and still shop, cook meals, clean the house, work the gardens, mow the lawn. You get the picture. I’m no superwoman, I certainly don’t have endless energy, and I definitely have my share of aches and pains. This I know: We make the time for the things that are important to us. So when someone say, “Oh, I don’t have time for that,” what he or she really means is, “I don’t think that’s important enough to make time for.” And that’s OK. This is the CALL-TO-ARMS for our coming meeting tomorrow. We need beekeepers and people that are concerned about the decline of the honey bee population! The purpose of a meeting tomorrow, July 16th is for attorney to discuss and explore options with us. 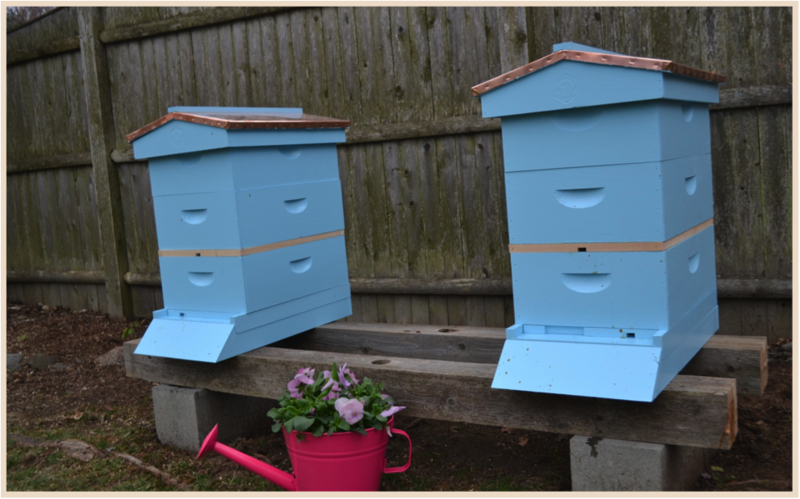 Ideally, we will need several dozen Massachusetts beekeepers that have suffered complete or partial losses as well as other concerned citizens who recognize that the environmental damage of pesticides is far too great and the expected results far too inconsequential. We are in the early, but extremely important, stage of discovery. We need to gather as large a group as possible of those that have been affected by the use of pesticides or are concerned citizens and we need you to help spread the word. There is power in numbers and NOW is the time to act! If the attorneys feel there is a case, they will make a proposal for a class action suit. The attorneys will work on a contingency basis and absorb all the costs. To be clear, there will be no financial obligation of anyone who decides to become part of this class action suit and anyone can withdraw from the suit at any time. The attorneys get paid only if we succeed in court or if there is a Settlement. They will work for and take direction from those who are willing and able to become members of the class action. The attorneys are simply asking that you come to the meeting, share your stories, share your concerns, and express your passion so that they can assess whether a class action suit is viable. I know many of my blow and Twitter followers share my passion for the honey bee colonies and for the environment as a whole. 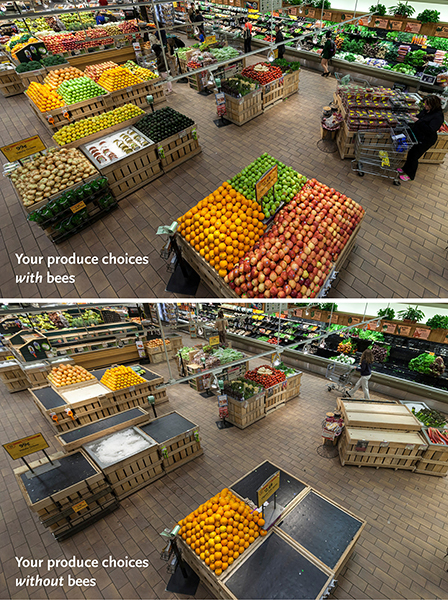 We can now do something to save the bees, but only with your help. We have been working diligently on this and other initiatives and this meeting could be a turning point in the fight. The attorneys that are meeting with us are Jan Schlichtmann and Scott Dullea. Please forward this email to your connections! They could be beekeepers, organic farmers, garden clubs – anyone that wants to support and protect the honey bees and other beneficial pollinators from pesticides! Here is a link to the public Facebook Event. Please check it out and share this important meeting with your Facebook friends. We need your help! We need supporters to generate action! This is our big opportunity and it may come only once. Leave a comment A Call to Action! Save the Pollinators! ▶ Earth Focus Episode 44 – Killing Bees: Are Government and Industry Responsible? – YouTube. I love baking bread. There’s something so wholesome and Zen about making your own dough and watching it rise. And then there’s the anticipation of that first warm slice. When my daughters were young, I took a baking course at Newbury College. Every Saturday for 6 weeks, my class started off with knot rolls. Did I say every class started out with rolls? Every – single – class. The first class was devoted to learning the basics of yeast dough, and every class thereafter we were expected to get fifteen dozen rolls in the proof box in half an hour. After a while, I was dreaming of knot rolls in my sleep. I didn’t complain – I loved the challenge of getting those rolls done quickly and with their knots all coiled perfectly. Thankfully, the class progressed to making croissants and Danish! Seven hours on a Saturday making Danish is not a bad way to spend a day. Three years ago, I visited Peter Island in the British Virgin Islands. The first morning I ordered coconut brioche French toast. Amazing. I have been dreaming of it ever since. And so, last week, after sailing around the British Virgin Islands we couldn’t resist stopping there to have breakfast. Yay! The coconut French toast is just the same as ever. I loved it. I devoured it. I may have stabbed my husband a time or two with my fork when he reached to take some. 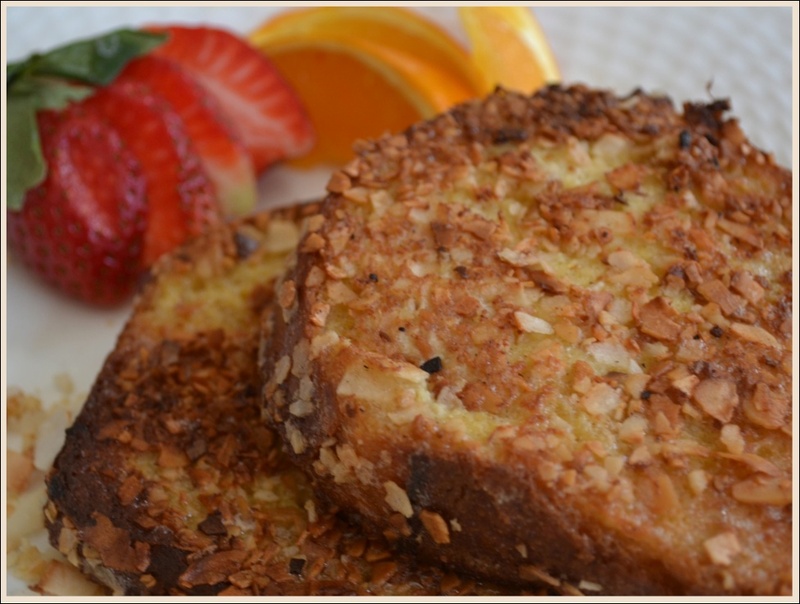 Since I can’t have the Peter Island French toast whenever I crave it, I created a recipe that comes pretty close. Brioche makes a perfect French toast. It’s similar to Challah, Russian Easter bread, and Portuguese sweet bread; a dense, sweet loaf. The key when baking bread is to make sure it gets a full two rises. 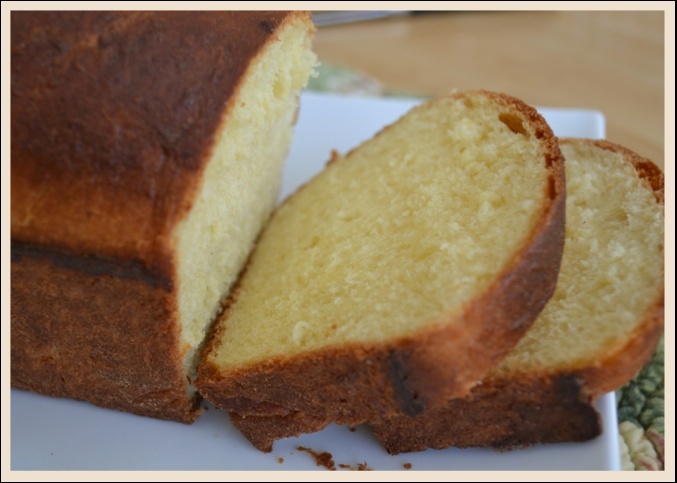 For this recipe, I used my 10” loaf pan so I could get even slices, but you can use a traditional brioche mold and cut your slices to suit your style. A traditional brioche mold is round and fluted. The best brioche has an overnight refrigerated rest, but you don’t have to do that to get a nice loaf. Toasting coconut is very simple, but you have to keep an eye on it. There’s a very fine line between toasting coconut and burning it. 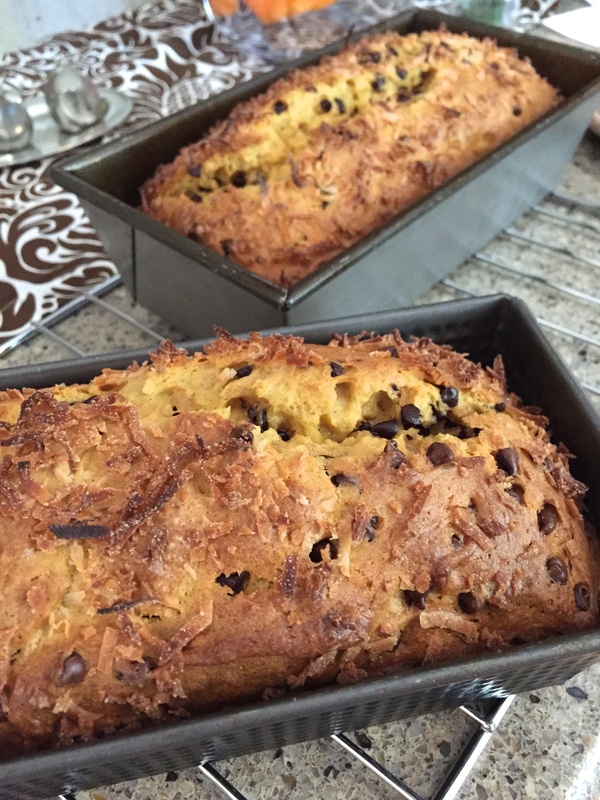 To toast coconut start with unsweetened, shredded coconut. I like the large coconut chips that I can get from Bob’s Red Mill. The larger shreds have more coconut flavor. If I want a smaller shredded coconut, I simply put it in my food processor and process for a few pulses. Preheat your oven to 300°. Spread the coconut on a cookie sheet in a fairly thin layer. Bake for about 20 minutes until just toasted. Check on the coconut frequently and give it a stir because it burns very quickly. 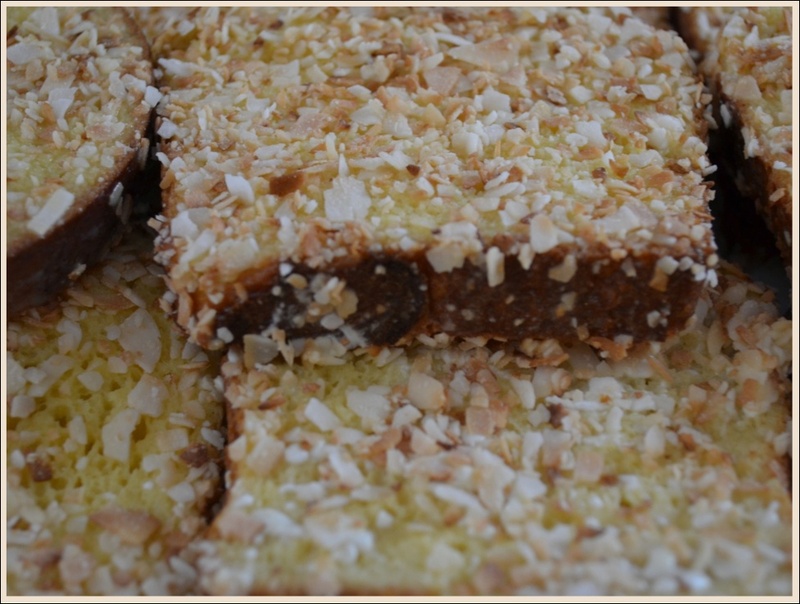 Toasted coconut is great with Greek yogurt, sprinkled on ice cream, tossed into salads, and snacking. You can also toast coconut on the stovetop. Directions: Put the dough hook on your heavy-duty mixer. In the bowl of the mixer, pour in the warm milk, sugar, and yeast. Stir to combine, and let it sit for about 10 minutes to wake up the yeast. It should bubble a bit. If it doesn’t, the yeast is probably dead. If that happens, get a new packet and start over. Turn the mixer to medium-low and slowly add the eggs. Use a rubber scraper to scrape down the sides. Beat until combined, about 5 minutes on low. Add the flour and salt in small increments, and beat on medium speed for 5 minutes. Add the butter one tablespoon at a time. Once all the butter is added, turn the mixer to high and beat the dough for 10 minutes or until the dough is smooth and starting to pull away from the sides of the bowl. It should feel springy to the touch. If the dough is too sticky, add a bit of flour and beat another 5 minutes. Butter a large stainless steel bowl. Place the dough in the bowl, loosely cover it with plastic wrap, and place in a warm area of your kitchen to rise for up to 2 hours, or until doubled in size. Punch down the dough. Remove it from the bowl, and rolling it with both hands, work the dough into a loaf. Butter a 10” loaf pan. Place the dough into the loaf pan. Loosely cover the dough again with the plastic wrap, and let it rise until doubled in size, about 1½ – 2 hours. 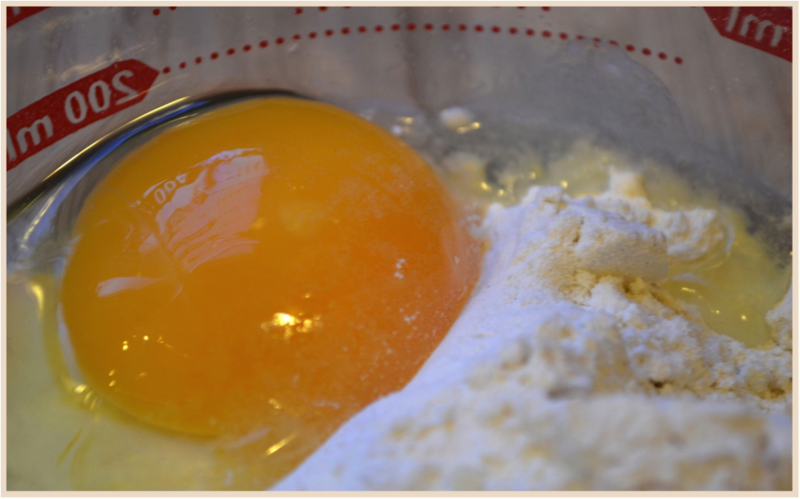 Prepare the egg wash by using a fork to blend the egg yolk and milk. 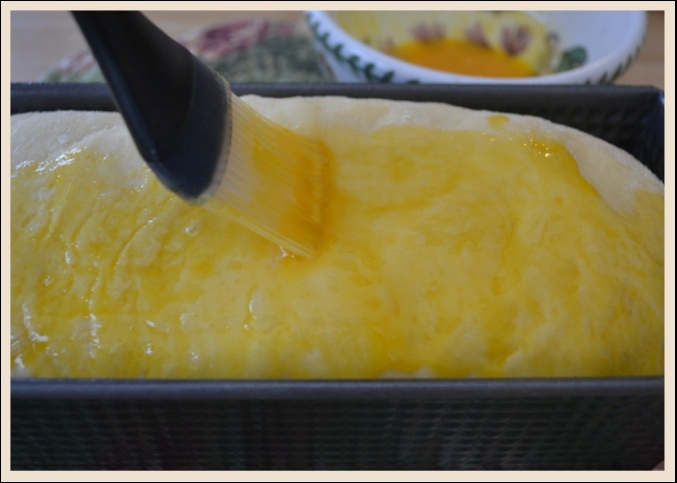 Brush the egg wash over the top of your loaf and bake in the oven for 20-25 minutes or until golden. The loaf should sound hollow if you tap it on the bottom. Let the bread cool for a couple minutes, then remove from the pan and place on a wire rack to continue cooling. Directions: In a shallow bowl, whisk the eggs, coconut milk, whole milk, vanilla, and sugar until combined. The coconut milk will be lump. Whisk it hard. Dip the bread slices into the mixture and let the bread soak for at least a minute each side. Press each side of the bread into the toasted coconut. You may have to turn them a couple times to make sure that the coconut sticks to the sides. Heat a skillet on medium high heat and add the butter and coconut oil in equal amounts. Cook the bread until it’s golden on all sides. Watch out, that coconut crust can burn! Add more butter and coconut oil as needed to cook the French toast (this is not the time to skimp on the fat). Transfer to a platter and keep warm in the oven tented with foil until all slices are ready. Serve with fresh fruit and real maple syrup. 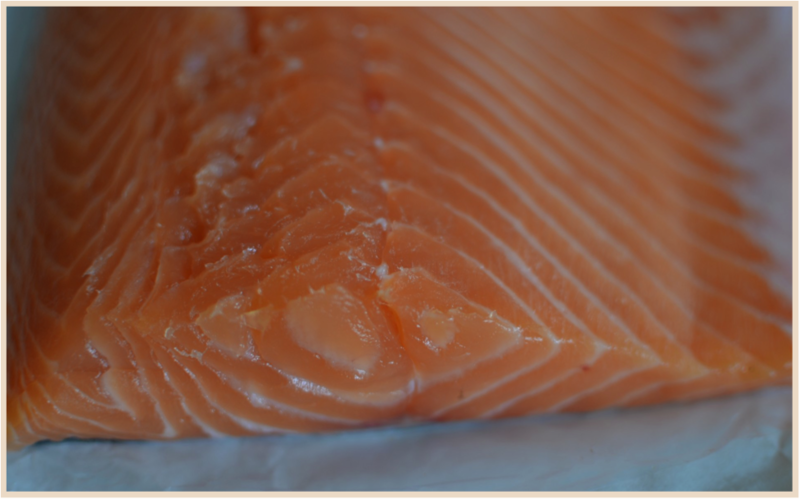 Wild caught Atlantic salmon is a tasty, healthy fish to include in your diet. 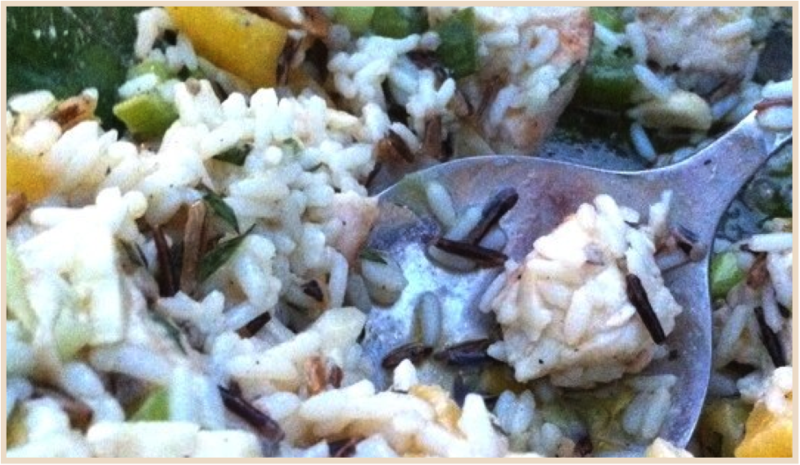 It’s loaded with Omega-3 fatty acids, has a mild flavor, and can carry a glaze or sauce. 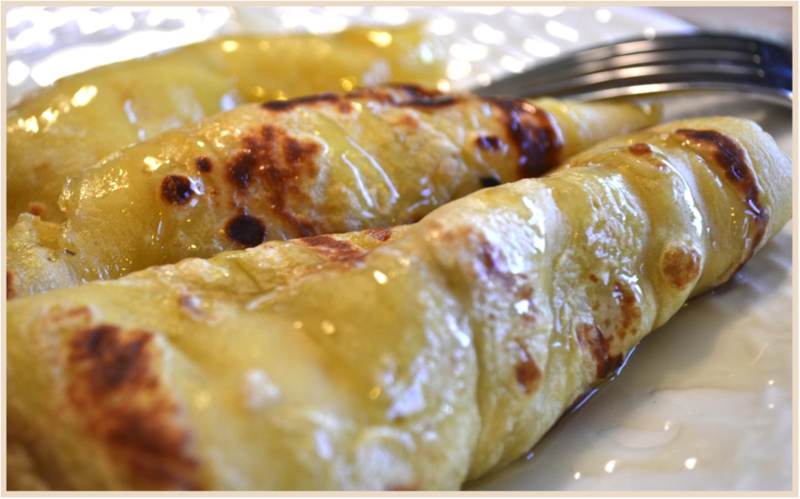 I originally developed this recipe using maple syrup, but my honey gives a tender sweetness to the glaze. Try it with both and decide what you like. In our house, honey got the vote. Directions: In a small bowl, combine the honey, vinegar, mustard, soy sauce, EVOO, garlic and pepper. Place the fish in shallow bowl (or ziploc baggie). Pour the glaze over the fish and marinate for at least an hour, or overnight in the refrigerator. Turn the fish from time to time to make sure it gets covered evenly with the marinade. Remove the salmon from the marinade onto a plate, then pour the marinade into a small saucepan. 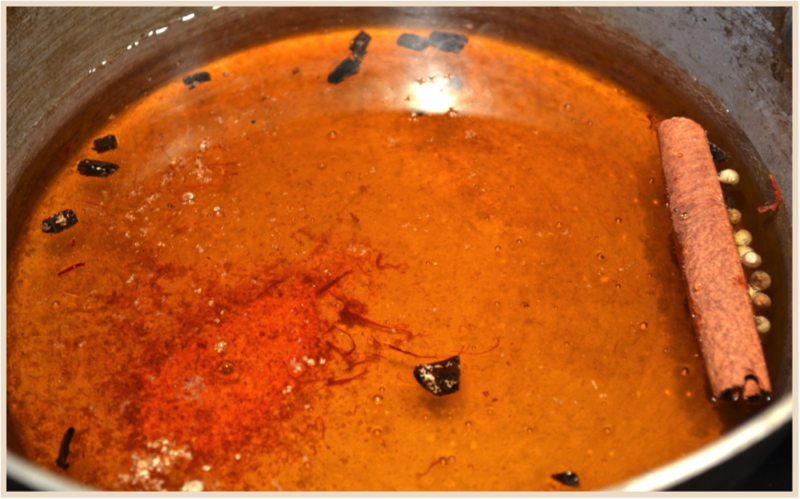 Heat the marinade on medium-high heat, bring it to a low boil, and reduce by half. This may take about 10 minutes. The marinade with darken a bit, then get thick as it reduces. Take reduction off the heat. Grill the salmon, basting with the reduced marinade. Fish cooks rather quickly, roughly 10 minutes an inch. 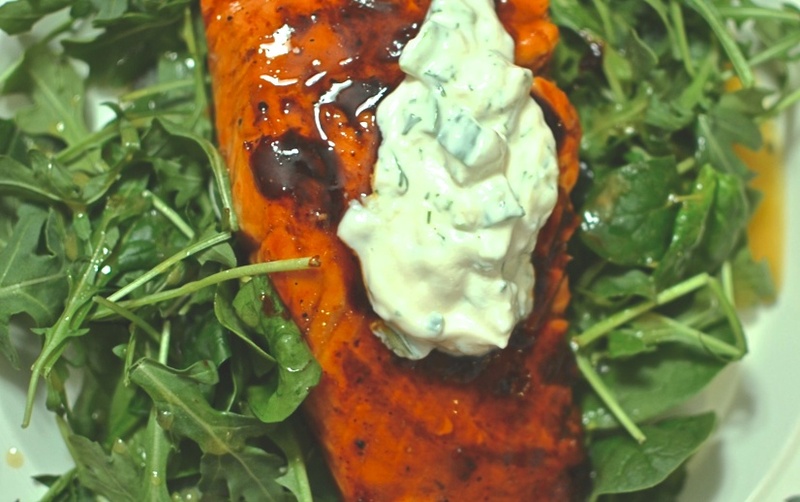 I served the salmon with a dollop of my tzatziki (see below for recipe) over a bed of field greens with arugula dressed with a honey herb vinaigrette (see below for recipe). Tzatziki is a great party dip or sauce for fish. It’s so simple to make, but full of fresh flavor. Directions: In a small bowl, combine all the ingredients. Let sit for half an hour for the flavors to marry. Enjoy with fish, as a dip for vegetables, or with corn chips. Will keep one week in the refrigerator. Directions: In a large bowl combine the Champagne vinegar, honey, and mustard. Slowly whisk in the EVOO to form an emulsion. Add in the tarragon, sea salt and pepper to taste. Will keep for 2 months in the refrigerator. taste the sweetness, appreciate the delicacy. I decided to make an Echinacea tincture as my first herbal project for Herbal Academy of New England. I’m enrolled in their Intermediate Herbal Course and one of my assignments was to make an herbal recipe and write about it. It’s not chance that I chose Echinacea. We are smack-dab in the middle of cold and flu season, and many of my Kindergarten students are presently fighting off colds. 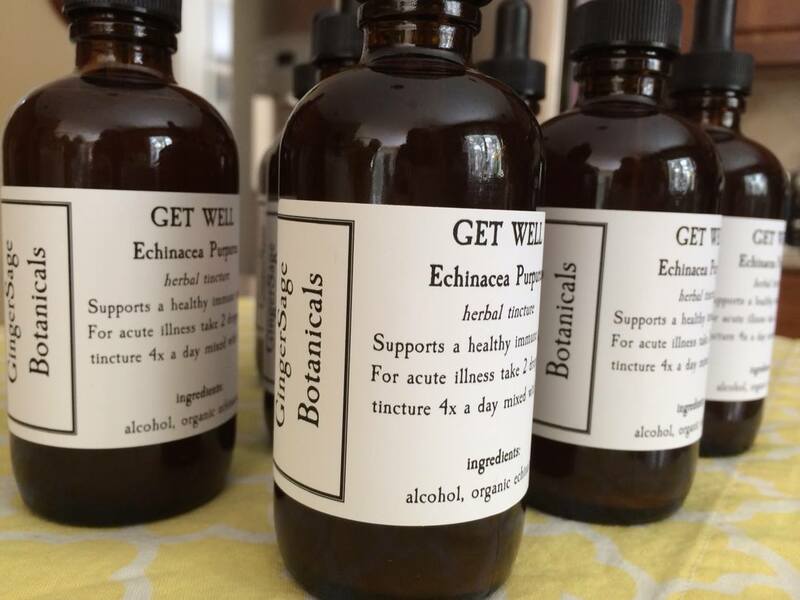 Echinacea tincture is the perfect and practical choice. 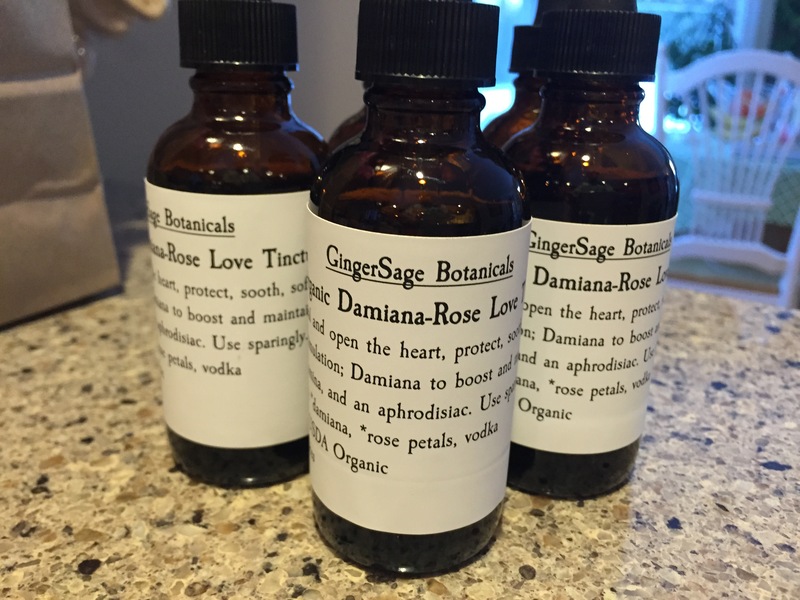 I purchased one pound of organic Echinacea purpurea root and two large bottles of brandy. I chose brandy over vodka because brandy seems more soothing when you have a cold. Who wouldn’t like a brandy (or whiskey with lemon) by the fire when they’re feeling under the weather? After a bit of searching the basement shelves, I found my large two-gallon jar. I cleaned it and dried it thoroughly. I put the dried Echinacea purpurea root in the jar and then covered it with the brandy in stages, stirring in between pours to make sure that all the herb was covered by the brandy. I put it in one of my kitchen cabinets to “rest.” Every so often I gave the giant jar a hearty shake. After a few days, I could see that the echinacea root was absorbing the brandy and the liquid wasn’t fully covering the herb anymore (and it should be) so I added additional brandy. After waiting almost four weeks (tinctures can “rest” three to six weeks) , I got impatient. Using a fine mesh strainer, I strained the tincture into sixteen amber glass 4 oz. bottles. Just as I feared, two days ago, I started to feel sick: sore throat, brain fogginess, sinus pressure, and headache. I have been using the tincture for two days. To take the medicine, I squeeze the dropper and draw the tincture into the glass tube and drop it into my mouth. I do this twice. I prefer to take it this way rather than mixing it with water. Admittedly, it takes a little getting used to the earthy taste. I can happily say that the tincture is helping me fight the virus. There are nine species in the genus Echinacea. Echinacea is a perennial. 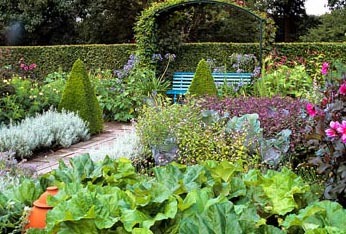 You may have some of these beautiful plants in your gardens already. I have the Purple Coneflower, aka Echincacea Purpurea, in my gardens. The pollinators love them. In fact, that’s the reason why I planted them last year. They feed my honey bees and many beautiful butterflies, and when the season is over the center cone provides food for the birds. The flowers, leaves, and roots can’t be harvested until the plant is at least three years old. Harvesting is done in the fall after the first frost when the leaves and flowers have browned. 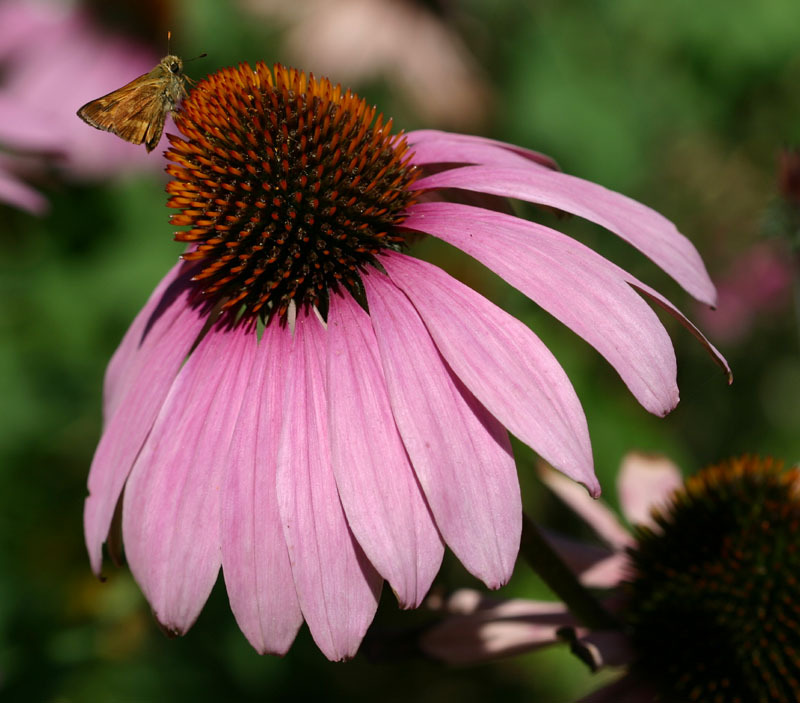 Echinacea works as immune stimulant. If it is taken at the onset of cold, it can shorten and lessen the severity of illness. It should not be taken on a regular basis longer than six to eight weeks. If you take it to help you get through cold season it is best take it for a couple weeks, then take a week off, then resume. Always consult your health professional before taking Echinacea with other prescribed medications. As with any medication, drug interactions can occur. 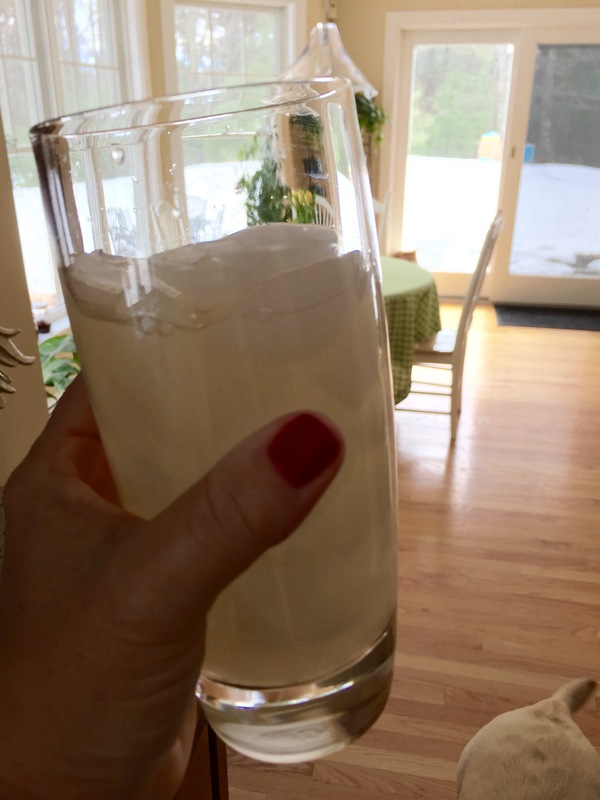 I can’t get enough lemon these days: lemon water, lemon pasta, lemon rice, lemon vinaigrette, and my newest recipe – lemon butter cake. Directions: Before making this recipe, gather the eggs, measure the sour cream and butter, and allow time for them to come to room temperature. In a small bowl, combine the flour, coconut, and baking soda. Set aside. Preheat oven to 350°. Butter and flour a loaf pan and set aside. 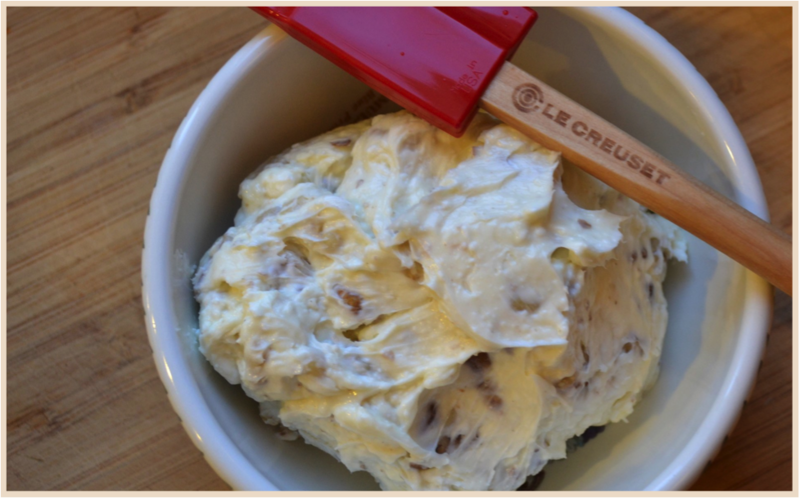 In the bowl of an electric mixer with the paddle attachment on, combine the sugar and butter and whip until light and creamy. Slice the vanilla bean lengthwise and use a knife to run down the length and scrape out the black seeds inside. Add to the bowl with the sugar and butter. Drop in the sour cream, eggs, and lemon oil (or zest) and beat for one to two minutes until light and airy. Add the dry ingredients in two parts, beating on low until combined. Do not over mix. Pour the batter into the prepared loaf pan and bake for 50 minutes to an hour, testing with a cake tester at 50 minutes. When the cake tester comes out of the cake cleanly, remove the cake from the oven. Let cool in the pan for 15 minutes then invert cake and place on a cooling rack to finish cooling. While the cake is cooling, prepare the glaze. In a small bowl, combine the confectioner’s sugar and fresh lemon juice. Whisk with a fork until smooth. 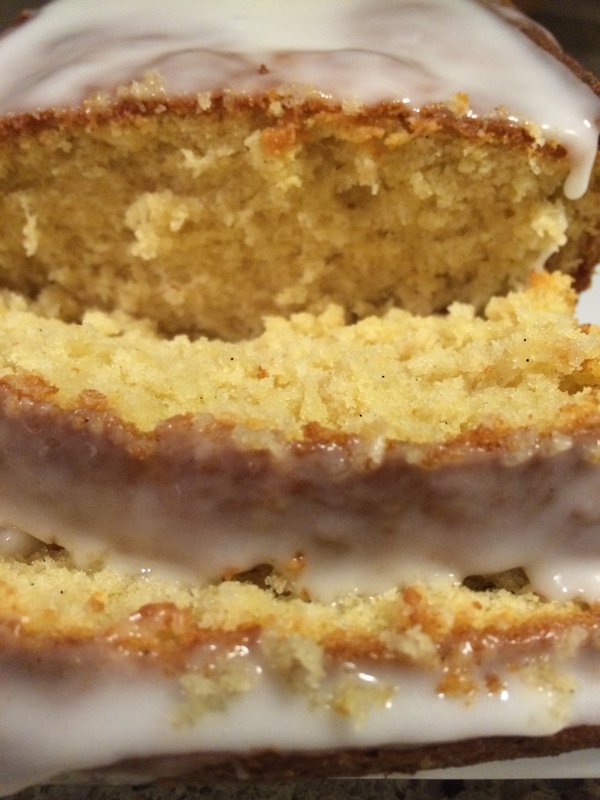 Put your cooled cake onto your cake plate and drizzle the lemon glaze over the top of the cake. Optional: Garnish with lemon zest. After a very fun and exciting trip to Alta Ski Area for a family Christmas vacation, I am back renewed and ready to focus on what 2014 has in store. In 2014, my husband Todd and I will turn 47. He’ll have you know that yes, I. am. older. On June 10, we will celebrate our 25th anniversary. The blessings and love of our lives, our daughters, will turn 24 and 23. What?? Sadly, our Retrievers will continue to age quicker than we will. Mischievous and sneaky Ginger will turn 14 and needy, loyal Sage will turn 7. 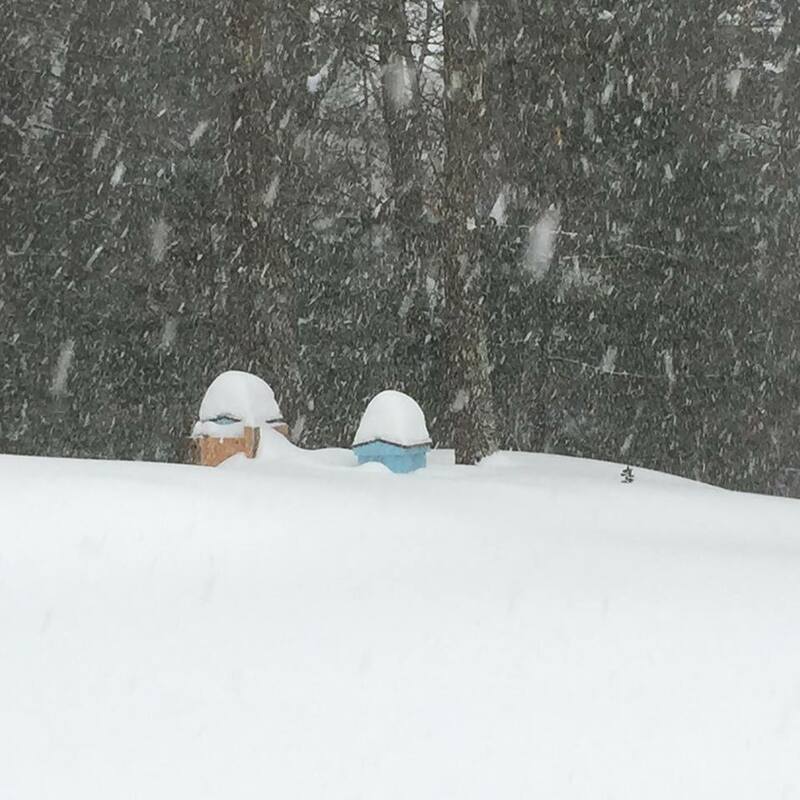 In 2014, I’ll have lived through 30 New England hurricanes and about 7 big blizzards. 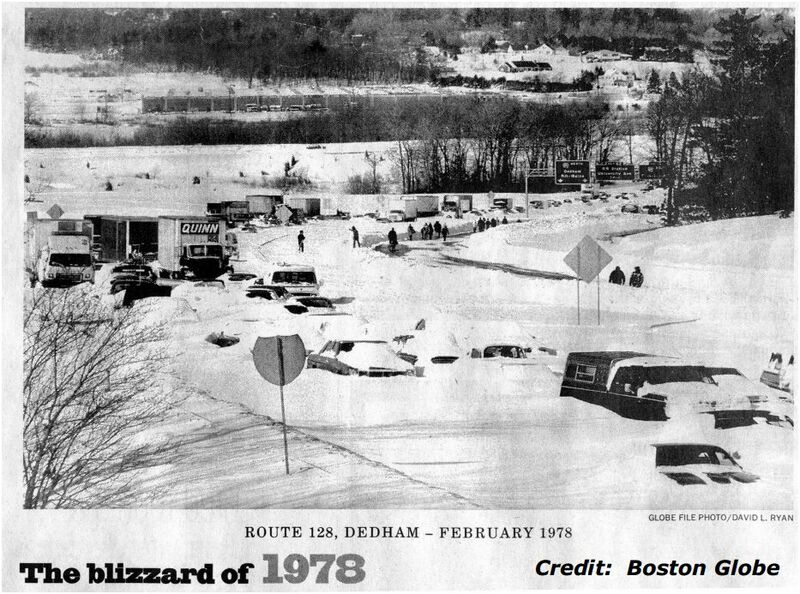 But, if you didn’t live through the Blizzard of ’78 you don’t know what a blizzard really is. In 2014, I’ll have worked at paying jobs for 32 years. In 2014, my grandmother Margaret will turn 91 and her sister, my great-aunt Mary, will turn 101. Sometimes it seems that time stands still, but thankfully it moves ever onward and old hurts and worries leave. And so … this June, I’ll have marked 4 years post-accident; in 2010, we experienced our daughter Kelsey nearly die of a car accident and survive, not just survive and be OK, but survive and THRIVE. Miracles do happen. 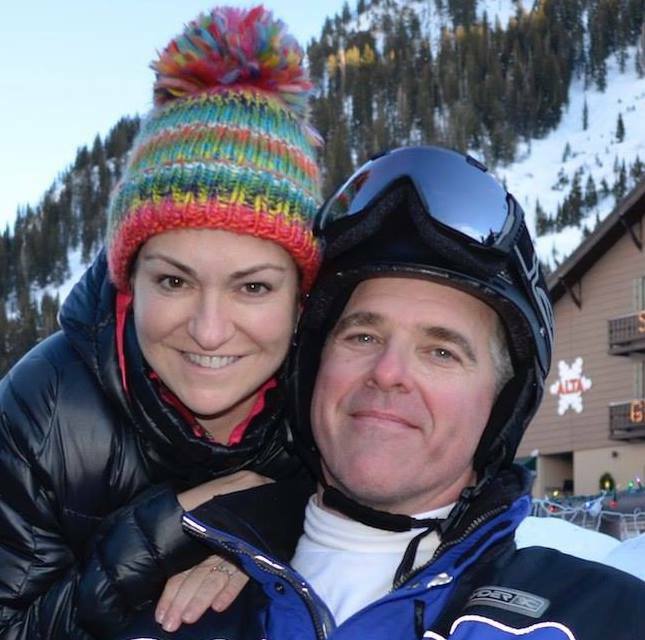 In 2014 and beyond, our daughter Kate will be reminiscing about her month-long Grand Canyon rafting trip with our Three Rivers Whitewater family and inspiring us to live fully in 2014. Cheers to more friends, more family, more food, and more fun! 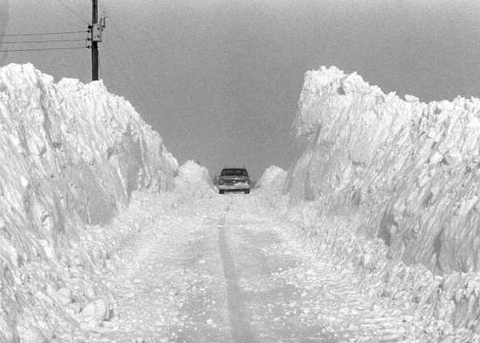 Rte 1 looked just like it. I walked with my grandmother right down the middle. It really was that high. So maybe it’s the vegetarian diet I decided to try mid-December (it’s sticking … so far), or the juicing I’ve been doing the past twelve days, but I am feeling energized, focused, and excited for what 2014 holds. Did I say vegetarian? eek. 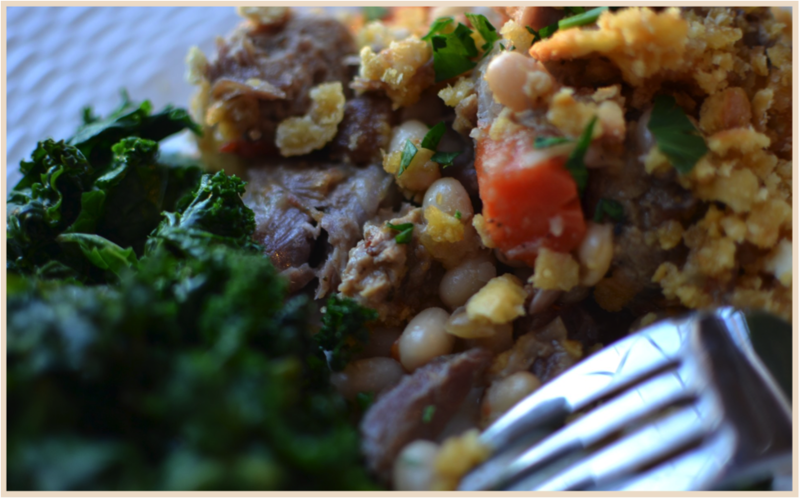 I hesitated, slightly, to write that I’m living a vegetarian lifestyle. It’s a big step and HUGE change for me. Don’t get me wrong, I love the taste of meat. I know how to cook it well, and I know how to celebrate with it. Over the past 25 years I centered many meals around it. 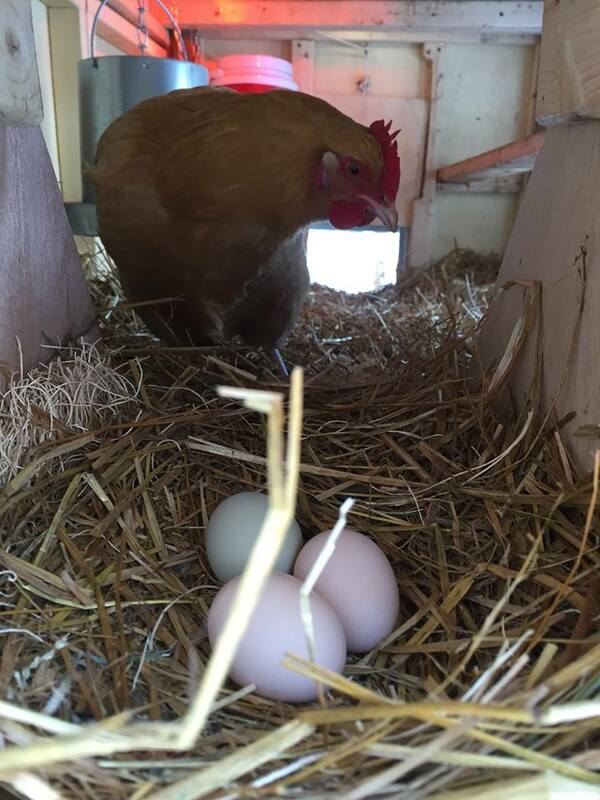 And friends and family know that I’m passionate about pasture-raised, organic, and sustainable farming practices. What I struggle with, always struggled with, is the ethical dilemma of eating dead animals. I’m trying to live out my beliefs. At times, I may fail. 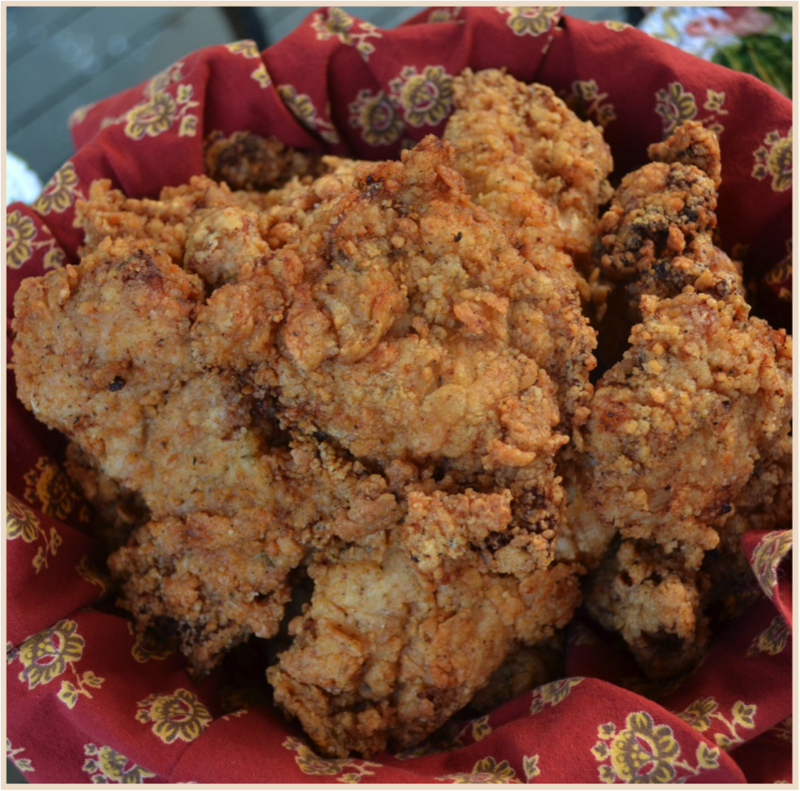 I may crave a Big Green Egg grilled grass-finished burger or a piece of my crispy, fried chicken and decide to eat meat. I will do so with gratitude. I am a vegetarian one day at a time (it’s been 30 days), and for now that’s OK. I use the coarse grater to keep more of the fiber-rich goodness. What’s inspiring me these days? If you haven’t already watched the documentary “Fat, Sick, and Nearly Dead” with Joe Cross I urge you to do it. 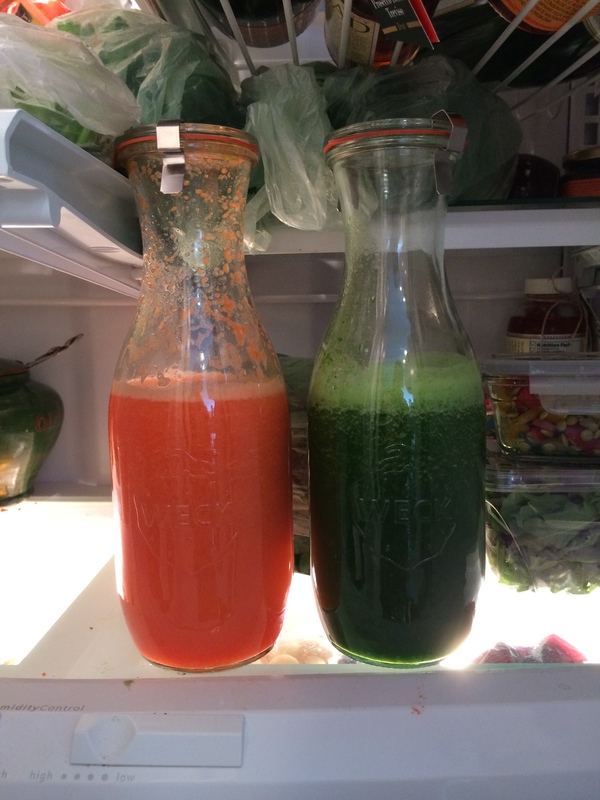 It’s a moving documentary of Joe’s road to health through juicing. It got me to buy a juicer and commit to a 15-day reboot. I’m on day 12 and may go longer than 15 days. and yet another documentary. “Hungry For Change,” is about the food and diet industry and how it’s keeping us fat – overfed and undernourished to be exact. the NOFA Conference I attended January 11. NOFA stands for Northeast Organic Farming Association. I’ve wanted to go to one of their conferences for years. This year, I decided to go. I went to a class on backyard chickens and kitchen medicine. Being an avid user of herbal remedies, homeopathic medicine, and aromatherapy, I thought the kitchen medicine class would be great and it was. In just two hours I saw all my thoughts about food as medicine, eating with the seasons, and using herbs put together into an informative course. herbal medicine. I’ve been using herbal remedies for 25 years. Did you know that herbs have been used as medicine since the time of our paleolithic ancestors? Paleo humans ate a mostly herbivore diet that was occasionally interspersed with the meat of a hunted animal. There are cave paintings depicting, what most scholars believe to be, a shaman with antlers. Herbalism is ancient. When I think of herbalism, I think of a shaman, a wise woman, an Ayurvedic practitioner, a Chinese medicine doctor, and Hippocrates (he was an herbalist). Some common herbal remedies or teas you may already know and use are: ginseng (energy), gingko (brain health and circulation), echinacea (immune support), chamomile (eases aches and pains, promotes relaxation), lavender (antibacterial, aphrodisiac, ease headaches), and St. John’s Wort (eases aches, pains, and depression). Herbalism is a skill that is passed down through generations, but since I don’t come from a long line of shamans I will be getting my education from Herbal Academy of New England in Bedford, Massachusetts. They have a team of experts (including clinical herbalists and doctors) ready to support and encourage new students. Check them out! In addition to information on herbal medicine they have culinary and herbal recipes, wellness articles, and DIY projects. I’ll be guest blogging for them, too. I’m very excited to be part of their organization. 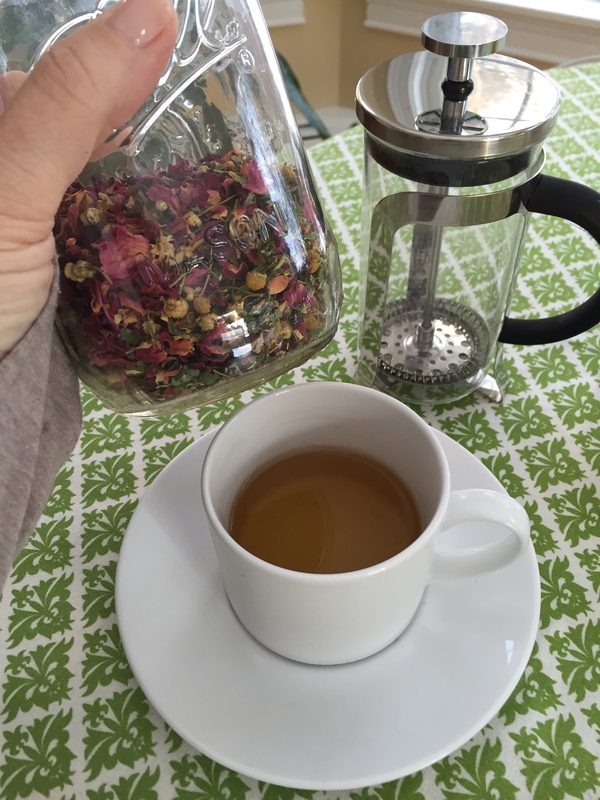 Sign up for their Online Intermediate Herbal Course and join me! So… you made it all the way through my post. Thank you! 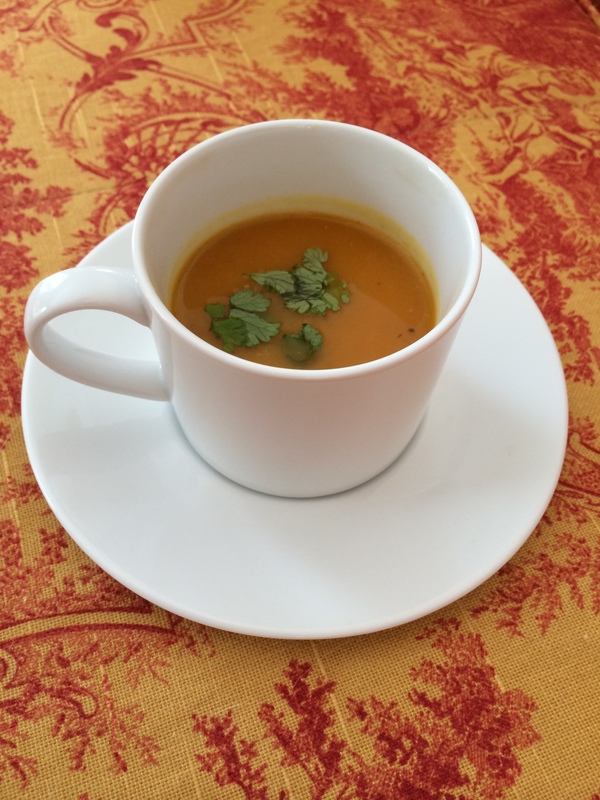 And here’s a recipe for you on a cold, winter day when your body and soul needs some warming. Directions: In a large stockpot, sauté the onion, garlic, and fennel for 10 minutes. Do not let it brown. Add the vegetable broth and bring to a boil. Reduce heat to a low boil, cover, and cook for 15 minutes or until the vegetables are soft. Add the butternut squash, carrots, peppercorns, sea salt, curry, and cayenne pepper to the stockpot. Using a Microplane grater, grate the fresh ginger directly over the pot. Give it all a stir. If the squash in not covered by the stock, add enough water to cover, but not float. Bring to a boil, reduce heat to a low boil and cover. Gently boil for 15 minutes or until the carrots and squash are soft. Using a blender, scoop out the soup and blend in batches to the desired consistency. Return to a different stockpot and keep warm. Note: Using a stick blender works great for this soup and is easier to clean than your blender. Salt and pepper to taste. Sprinkle with cilantro and enjoy. 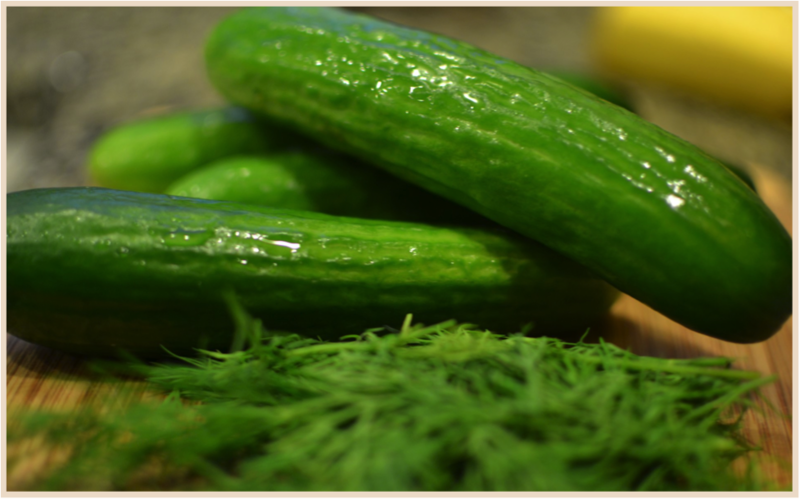 fennel – relieves flatulence and colic, stimulates the digestion and appetite. sea salt – 84 trace minerals and elements such as iodine, iron, calcium, magnesium, manganese, potassium, and zinc. 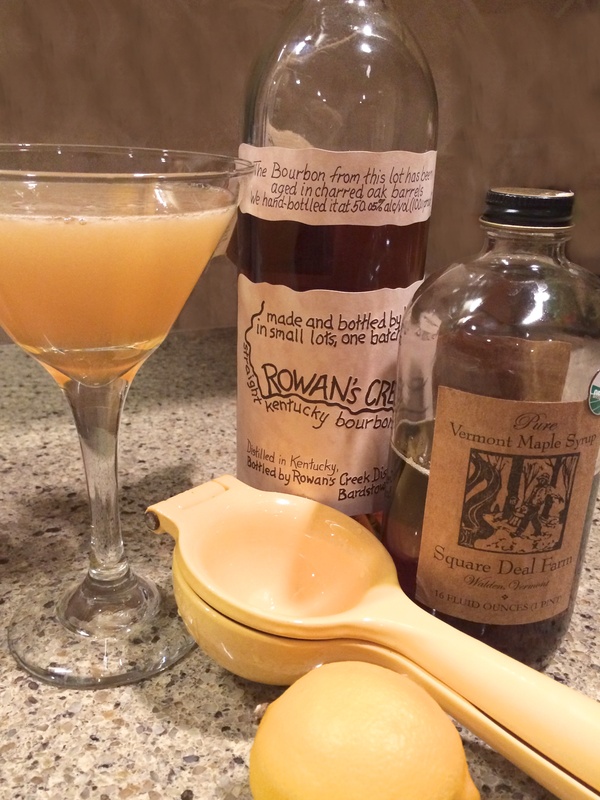 This cocktail combines three of my favorite things: small batch bourbon, organic Vermont maple syrup, and lemons. Sip it in a chilled martini glass or on the rocks in a double old-fashioned glass. My recipe makes two cocktails because let’s face it, no one enjoys drinking alone. With two drinks you hand one to a friend and it’s an instant party. The Rowan’s Creek Kentucky Bourbon Whiskey is a new one for me from the Willet Bourbon Whiskey family. It’s a very nice sip with a caramel, honeyed spiciness to it. It’s made and bottled by hand in Bardstown, Kentucky. Wine Enthusiast had this to say: “Amber, with a dark golden cast. Medium-bodied. Reminiscent of pear, lemon, honey, and flowers. Smooth texture. Quite elegant and attractive on the palate. Stunning, velvety mouth feel of delicate fruit and spice elements. Carries forth in a highly fragrant, lingering finish. The Square Deal Farm organic maple syrup comes from northern Vermont. Square Deal has been farming sustainably since 1997 and are certified organic by Vermont Organic Farmers. They raise Pinzgauer cattle and pastured pigs, grow potatoes, harvest their own hay, and manage their forestland for timber, wildlife and maple syrup production. I buy their delicious syrup and maple sugar from Farmers To You and pick it up with the rest of my weekly order. Directions: If you’re using martini glasses, chill the martini glasses with ice and water while you prepare the cocktail OR do what I used to do and keep the glasses in the freezer ready to go. Fill half of a cocktail shaker with ice. Add the bourbon whiskey, maple syrup, and lemon juice. Give it one shake and let it sit for 2 minutes to settle and soften the flavors … then go ahead and give it a SHAKE, Shake, shake as hard as you can. You want that nice icy film on top after pouring. Strain into the chilled martini glasses or a double old-fashioned filled with ice. 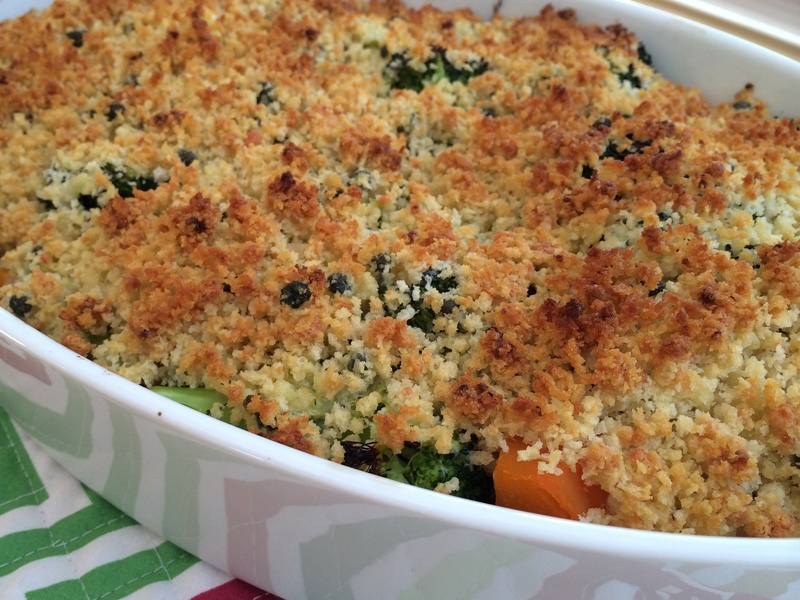 I love the crispy and savory crust on top of the sweet broccoli and squash. This dish is gluten-free, thanks to Ian’s Gluten-Free Panko Breadcrumbs. Any vegetable or combination of vegetables will work well with this recipe, but choose your vegetables with similar densities or you’ll end up with mushy broccoli and hard carrots. Directions: Preheat oven to 400°. Lightly butter a 3-quart casserole dish. 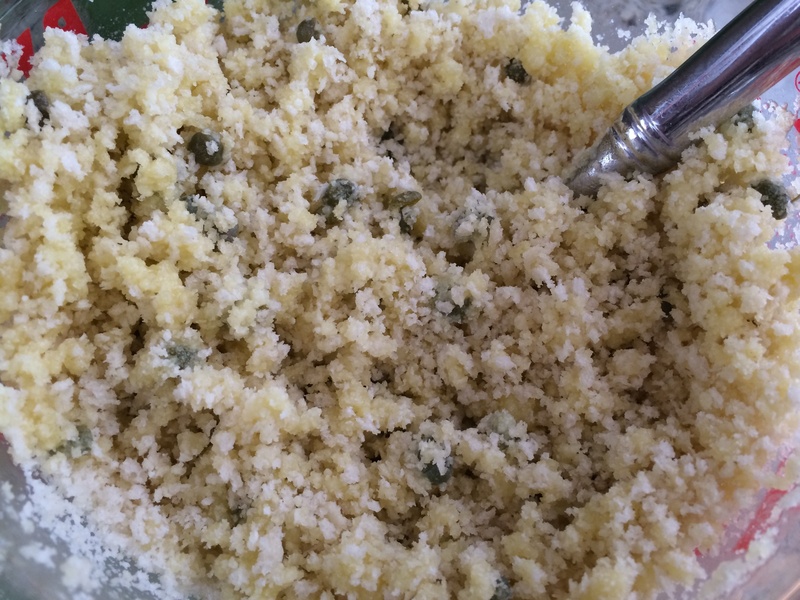 In a small bowl, combine the breadcrumbs, Parmesan cheese, capers, and EVOO. Over the top, grate the three cloves of garlic, using a fine grater, over the crumbs. Stir all ingredients and combine thoroughly. Steam the butternut squash for 5 minutes or until just tender. Drain, and place in the casserole dish. Steam the broccoli for 5 minutes or until crisp tender, give them a cold water rinse, drain again, and add the broccoli to the squash in the casserole dish. Evenly spread the sour cream & cream mixture on top of the broccoli and squash. 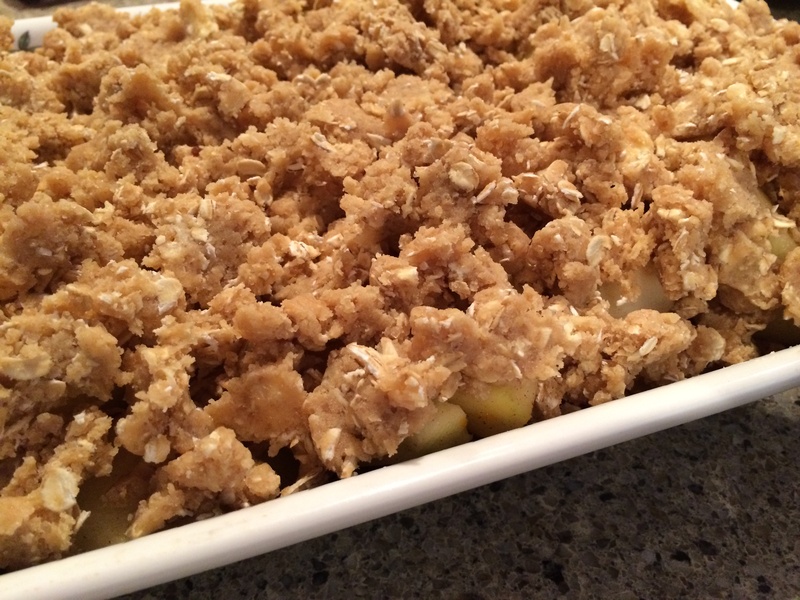 Sprinkle the breadcrumb mixture on top. Bake (using the convection option if you have it) for 15 minutes or until golden brown. If your gratin is not brown after 15 minutes, broil on high for 3-5 minutes. Do not over bake. Need a bite-sized appetizer to serve at your holiday cocktail party? These are perfect. They are crispy, savory and sweet, and bite-sized. Just right for nibbling while you party. 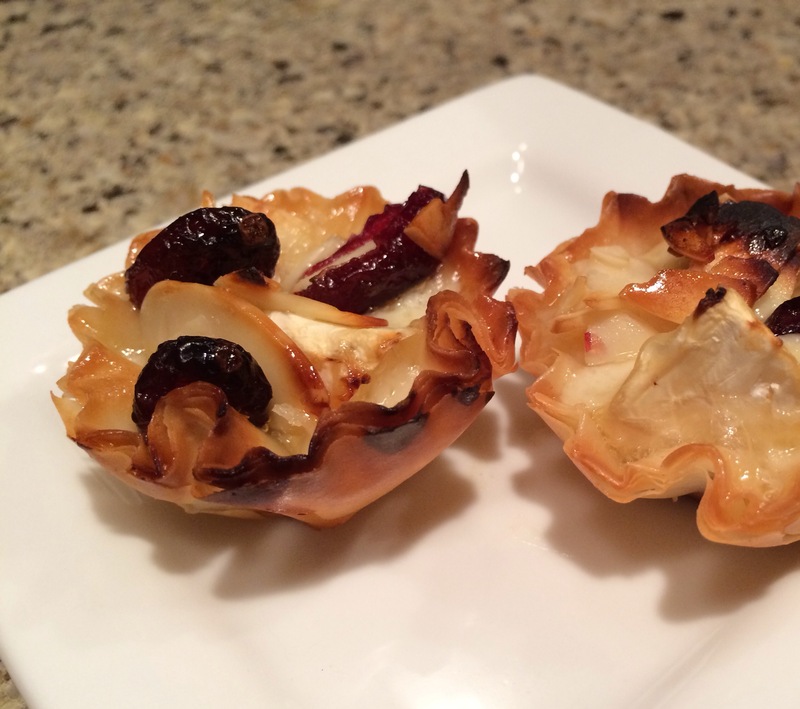 This recipe is lighter than the usual baked brie in puff pastry I make during the holidays. 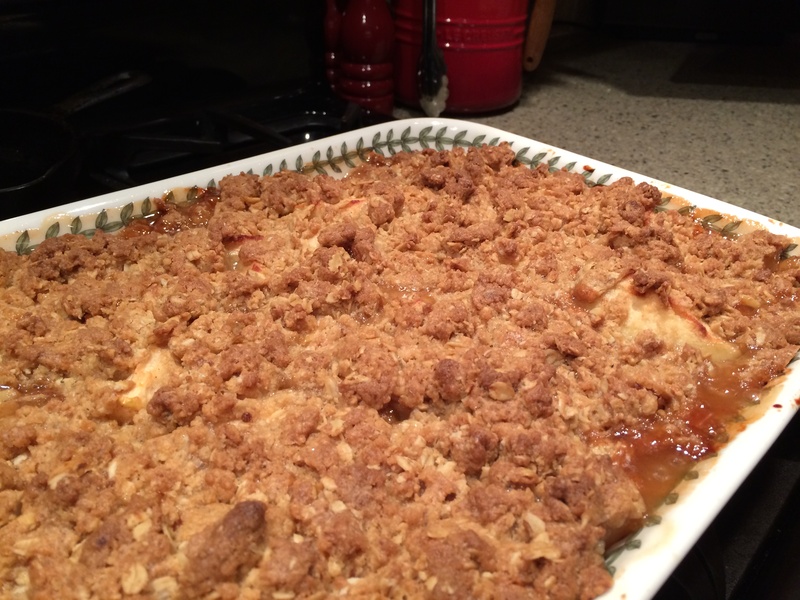 What I like so much about this recipe is you can make multiple batches with different toppings! I made this batch using raw honey from my apiary, organic dried cranberries and slivered almonds, but a dollop of fig jam on top would be delicious, too. Or maybe an apricot jam with almonds. The choices are endless! 1 box of Athens brand mini phyllo shells, 15 per box (in the freezer section). No need to defrost. Directions: Preheat oven to 350°. 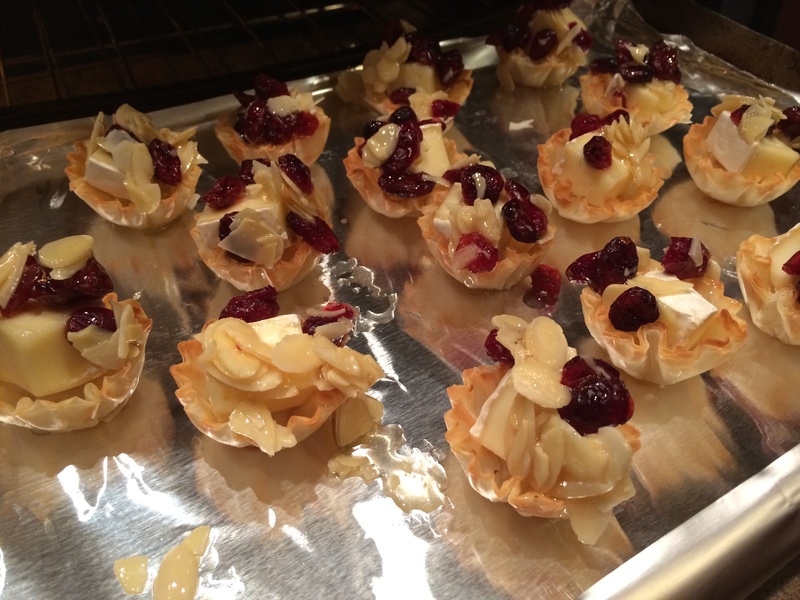 Chop the brie into small cubes, small enough to fill the phyllo cups, about ½” pieces. Set aside. Remove phyllo shells from the freezer. In a small bowl, combine the dried cranberries, almonds, and honey. Arrange the shells on a baking sheet. Put one piece of brie in the bottom and top with the cranberry mixture. Bake for 5 minutes or until the cheese melts. After a day spent cleaning the yard and the house this was just what my husband and I needed. 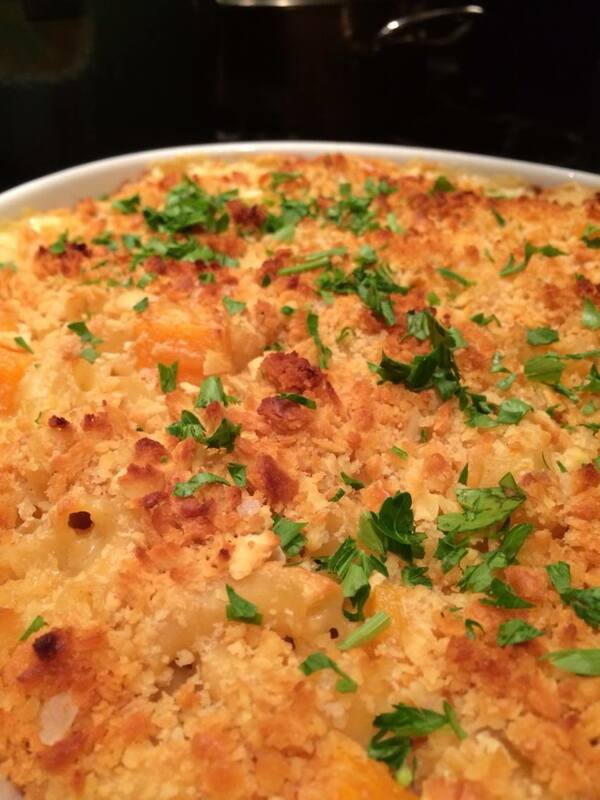 We ate this cheesy, comfort food by the warmth of our fireplace. It was comfort food on a fall evening. You can substitute gluten-free pasta, but I don’t recommend it – the pasta can get too mushy. Stick to regular Prince pasta and you can’t go wrong. Directions for crumb topping: Put the crackers in a baggy and using a meat tenderizer mallet, crush the crackers into crumbs. Melt the butter and set aside. In a small bowl, add the cracker crumbs and melted butter. Stir to combine. Set aside. Directions for the cheese sauce and pasta: Preheat oven to 400°. 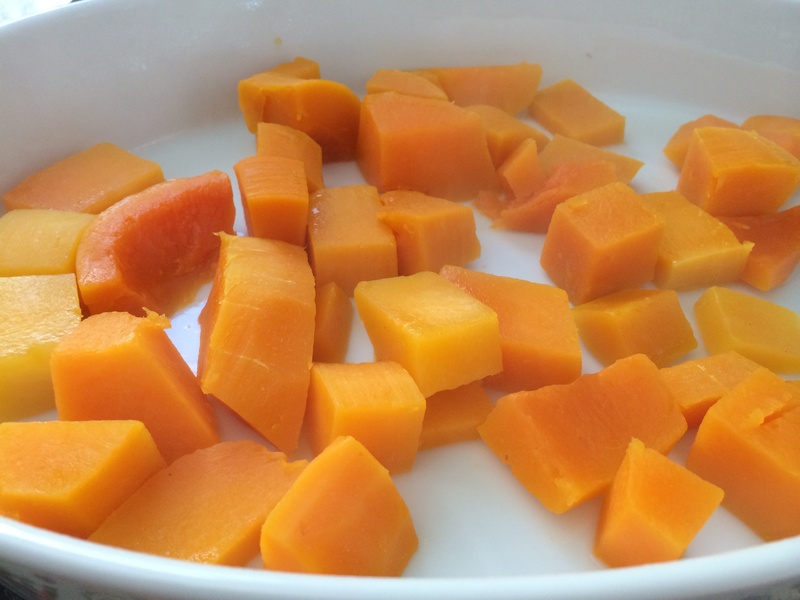 Steam the cubed butternut squash for 3-5 minutes until barely tender. It will continue to cook in the oven so don’t overcook it. Boil the pasta just shy of al denté. Drain and set aside. In a large pot, melt the butter over medium-high heat and add the flour, dry mustard, and cayenne. Whisk well to combine. Continue whisking until mixture becomes fragrant and deepens in color, about one minute. Gradually which in milk; bring mixture to a boil, whisking constantly (mixture must reach full boil to fully thicken). Reduce heat to medium and simmer, whisking occasionally, until thickened to consistency of heavy cream, about 5 minutes. Add the salt and pepper. Turn heat off and whisk in the cheeses until melted. Add the cooked pasta and butternut squash. Stir to combine. Taste and adjust seasoning. Pour into a 3-quart casserole dish. Top with the crumbs. Bake on the top rack for 15 minutes until the topping is browned. Garnish with fresh parsley sprinkled on top. Blacklisted: GMO Supporting Food Companies to Avoid. As a girl, I remember having meatloaf sandwiches in my lunchbox. It was stuffed in there in between my thermos and my much coveted Devil Dog. I was a weird kid. I hated the peanut butter and fluff sandwiches most of my friends had. It must have been something about the white, sticky fluff that stuck all over their cheeks in little peaks and valleys that made my stomach churn. Or maybe it was the smell of peanut butter wafting from their sticky cheeks. Whatever it was, the signature sandwich of childhood was not my sandwich of choice. I’m sure my friends thought my sandwich was odd, but I ate it with gusto, and not a crumb or smudge of catsup on my cheek! I loved those meatloaf sandwiches. I haven’t had a meat loaf sandwich since I picked one up at Duckworth’s Beach Gourmet last year. I could write a paragraph on that sandwich alone! These days, a crusty piece of toasted sour dough bread seems like a better choice for a sandwich and I wouldn’t be caught dead buying a Hostess snack cake. Getting a meat share is similar to being part of a CSA. You don’t choose the cuts of meat, you get ALL the cuts from the butcher. And, you have to be creative when you have lots of ground beef. I started making meatloaf after staring into the frozen abyss of my freezer and noticing that there were pounds and pounds of ground beef starting right back at me. I realized at that moment that I had been selecting all the prime cuts to cook with and unknowingly left all the frozen one-pound packages of lean ground beef. Let’s face it, there’s only so many burgers and shepherd pies you can make! Remembering my meat loaf sandwiches of childhood and the spectacular one I had at Duckworth’s last year, I pulled out two pounds of ground beef and 1 pound of ground pork and began to work on my recipe. You’ll need to have scrupulously clean, polish free, short fingernails so you can up close and personal with your ingredients. Yes, you need to use your hands to combine the ingredients. My grandfather Pasquale taught me that you must get right in there and mix the ingredients with your hands. There’s no other way to make meatballs (or meatloaf). So get out your nail clippers, scrub your hands using soap and hot water, and get mixing. Using a meatloaf pan provides for more even heating and allows the fat to drain off. Combine the ground beef, ground pork, cheddar, eggs, breadcrumbs, sea salt, pepper, thyme, oregano, and parsley. Don’t be afraid to use your hands or use a large bowl mixer. Add the cubed cheddar cheese and gently mix until the cheese is evenly combined. Cut the three slices of bacon in half and place three slices in the center of the meatloaf pan. Form the meat into a loaf shape and place on top of the bacon. Top the loaf with the other three halves of bacon. Roast at 400° for 30 minutes. After 30 minutes, turn oven down to 375° and roast for one hour or until the center has reached 150° with a meat thermometer. Every 15-20 minutes you can baste with the bacon drippings using a spoon. When meat loaf has reached 150 degrees, remove from the oven and let rest for 10 minutes before serving. While the meat is resting, warm the sauce. Heat a small saucepan to medium-low. Add all the ingredients and gently stir to combine. 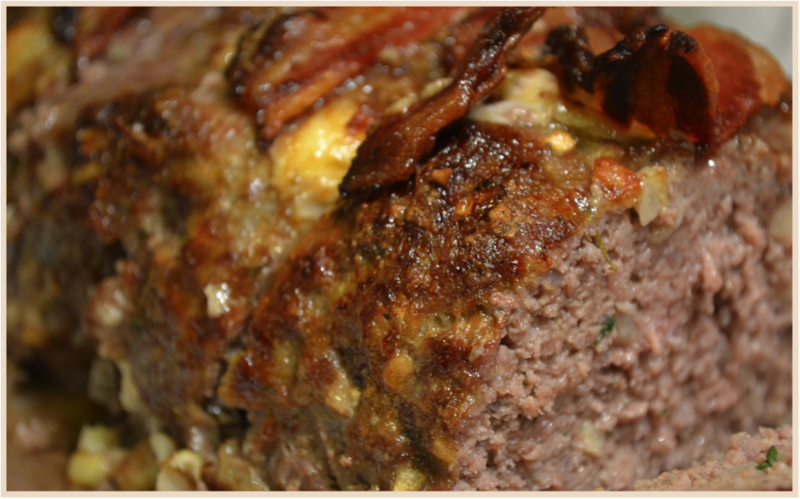 Heat until warmed and serve with the meatloaf. It’s time I started baking again. 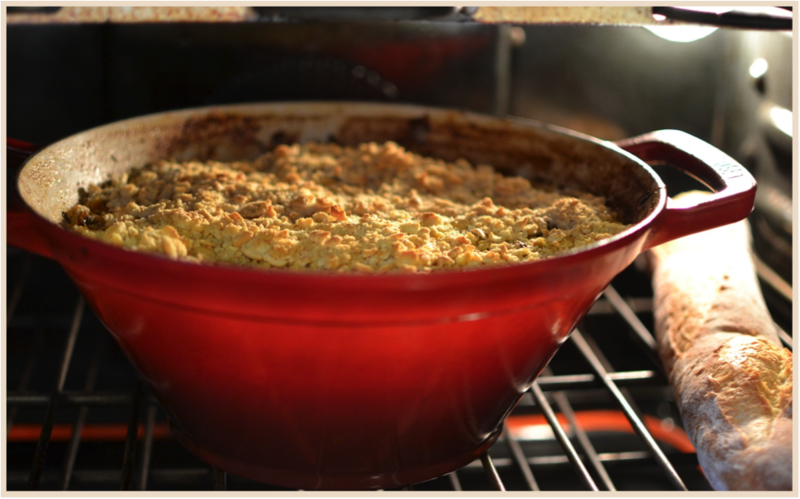 I love the comfort in baking – the precise ingredients, the blending of flavors, and oh! the aromas wafting through the house. Baking brings everyone to the kitchen. 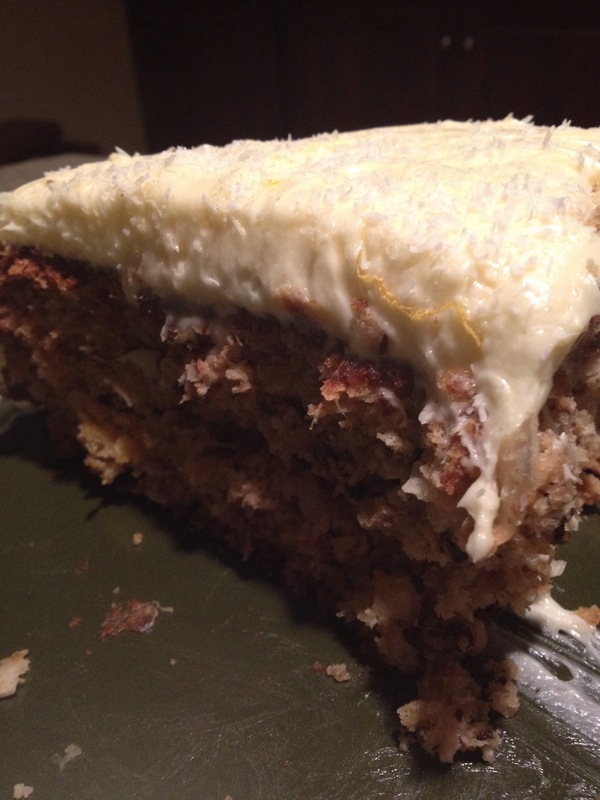 Carrot cake has that earthiness and grounding quality that warms the soul this time of year. I’ve updated my recipe with gluten-free flour (better for you if you have any inflammation in your body or are celiac) using Cup4Cup, and substituting coconut oil for organic canola oil (coconut oil is miraculous). I use less cinnamon and sugar than most carrot cake recipes because I want to taste the individual ingredients and not be overpowered by the strong taste of cinnamon and sugar. Preheat oven to 350°. Butter and dust with flour (or use Baker’s Joy spray) a 9″ round springform pan. In a large bowl, combine all dry ingredients: flour, sugar, baking soda, cinnamon, salt, flaked coconut, currants, and pecans. Stir to combine. In another bowl, combine all the wet ingredients: beaten eggs, melted and cooled coconut oil, vanilla, shredded carrots, and pineapple. Stir to combine. Add the wet ingredients to the dry ingredients and mix until just combined. Pour into the prepared springform pan and bake for one hour. Remove from oven, cool for 3-5 minutes and release the cake. 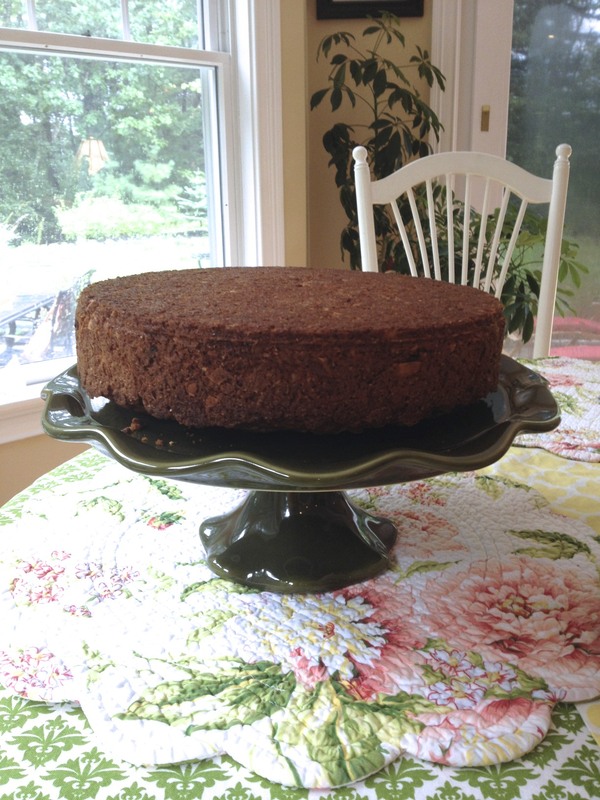 Invert cake on a cooling rack or your cake dish. Cool completely before frosting the cake. Directions: Set your mixer to high and cream the softened butter and cream cheese in a mixer until smooth and creamy with no visible butter lumps, about 5 minutes. Stop the motor to add the vanilla extract and lemon flavoring. Whip to combine. Stop motor and add two cups of the confectioner’s sugar, cover the bowl with a towel (to keep sugar from dusting your entire kitchen), turn the motor to high, and whip the confectioner’s sugar into the butter and cream cheese until completely incorporated. Stop the motor again, add the remaining two cups of confectioner’s sugar, and whip until smooth and creamy and completely incorporated, scraping down the sides of the bowl if you need to. Refrigerate until ready to use. If it’s too hard to spread when it’s chilled, let it rest on the counter for fifteen minutes and then frost the cake. Sprinkle the top with a little shredded coconut and lemon zest. I love hummus. The first time I had hummus I was in college and went to a classmate’s engagement party – I couldn’t stop eating it. My daughters loved the hummus and shredded carrot roll-ups I made them for school lunches. Before I had a food processor, I’d make the hummus in a blender and then spend more time scraping it out than I did making it. Hummus is still a staple in our refrigerator and a go-to snack. It’s garlicky deliciousness is perfect for carrot or pita dipping. I must admit I’ve been lazy lately and have been buying it at the market instead of making it myself like I used to do. 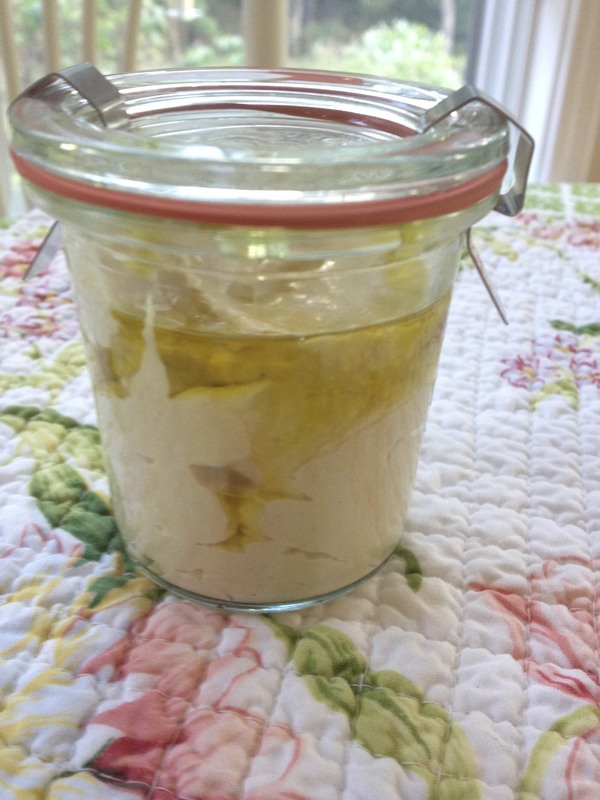 I’ve heard of some new recipes for “super smooth” hummus where the skins are peeled from the chickpeas – NO thanks! Imagine peeling each and every chickpea? Unless there’s some divine angelic choir experience from it, I don’t have time to peel them. 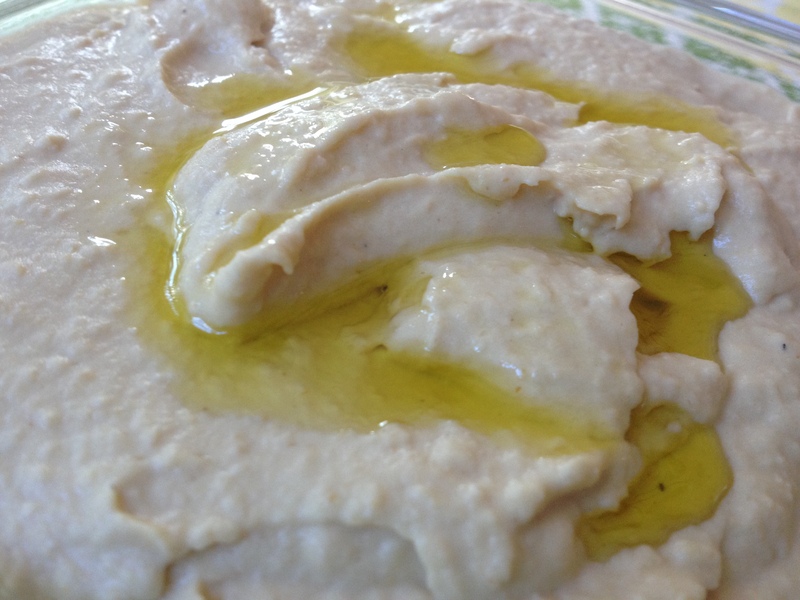 I prefer simple, fresh goodness when it comes to hummus. So grab your food processor (or blender) and get going. You’ll make enough for a party. Directions: Drain and rinse your chickpeas, reserving the liquid to add later. Pour the chickpeas, tahini, garlic, lemon juice, salt, cumin, and cayenne pepper in the bowl of a large food processor and process until smooth, about 5 minutes. You may have to scrape down the side to get it to mix. With the motor running, slowly drizzle the EVOO into the bowl. 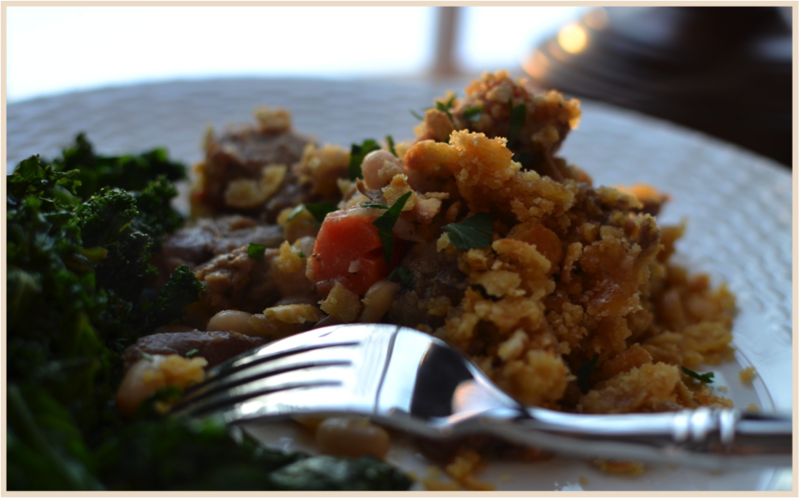 Add the liquid from the chickpeas, one tablespoon at a time until you get the desired consistency. Serve with pita chips or vegetables. My snack-sized Weck jar ready to go with me to work on Monday. The Ugly Truth Behind Cheap Food – DailyFinance. There’s a chill in the air, the leaves are starting to turn, and the birds are starting to migrate. To me that means a hearty Sunday dinner, a fire in the fireplace, and some good wine. Directions: Make the brine first. In a large bowl big enough for the pork, dissolve sea salt in 2C of HOT water. Add the rest of the ingredients and stir until dissolved. Add the remaining 8C of COLD water. Let roast mellow in the brine for 8-12 hours in the refrigerator. After 8-12 hours, drain, dry, cover, and let the roast sit at room temperature for an hour before roasting while you preheat the oven and prepare the herb crust. IMPORTANT: Do not change the brine quantities if you use a smaller roast. If you have a roast larger than 5 pounds double the recipe. 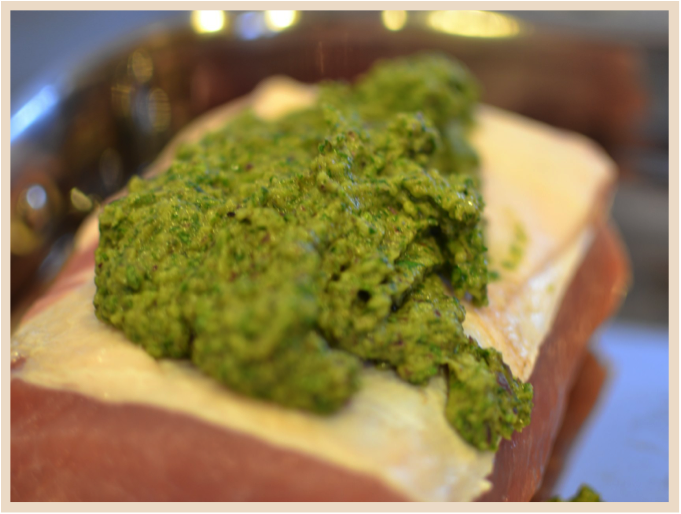 Mix all ingredients together (or use a food processor) and massage the rub all over the pork roast’s top fat layer. Directions: Preheat oven to 450°. After 10 minutes at 450°, or until you notice a nice crust has formed, turn down the oven temperature to 350° and continue slow roasting for about 1 hour or until a meat thermometer reads 150°. 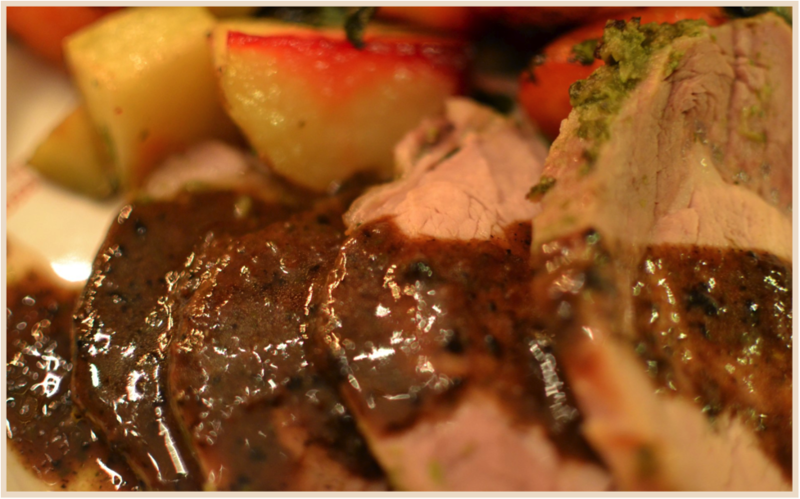 Oven temperatures vary as well as the shape and size of a pork roast; you will have to keep an eye on your roast. Dry pork is not good. Leave a meat thermometer in the roast or test it more frequently. Remove the roast from the oven, cover with foil to let it rest before slicing. 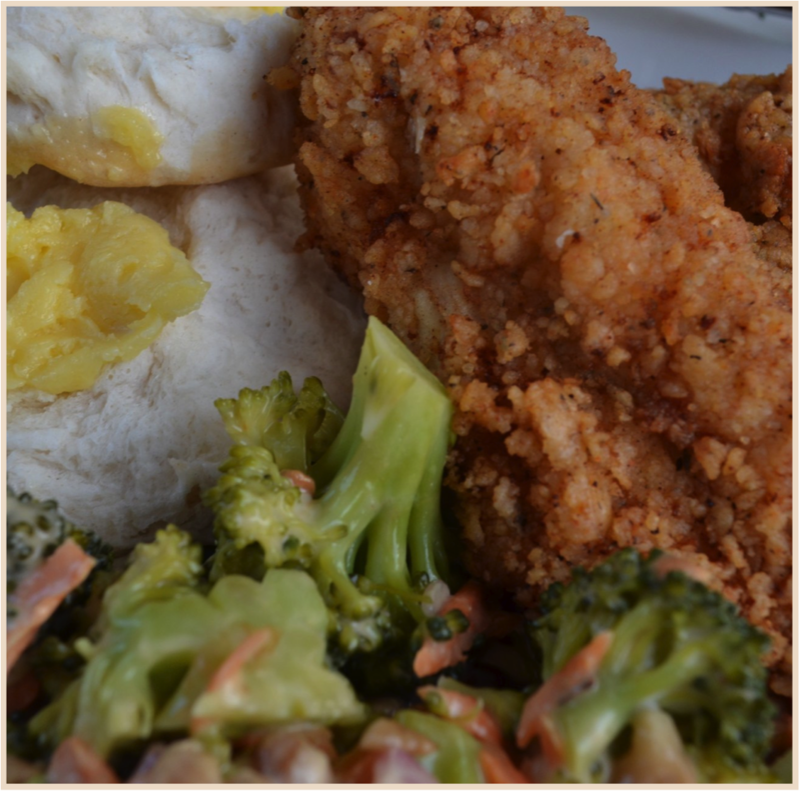 Serve with the pan juices or make a simple peppercorn gravy. Want to learn what permaculture is? Like playing cards? Check these out! Permaculture Playing Cards by paul wheaton — Kickstarter. I’m fascinated by the life of honey bees and the hardworking, selfless social community they create. Honey bees sometimes get a bad reputation because they get lumped together with all bees, including the nasty and aggressive wasps, yellow jackets, and hornets. 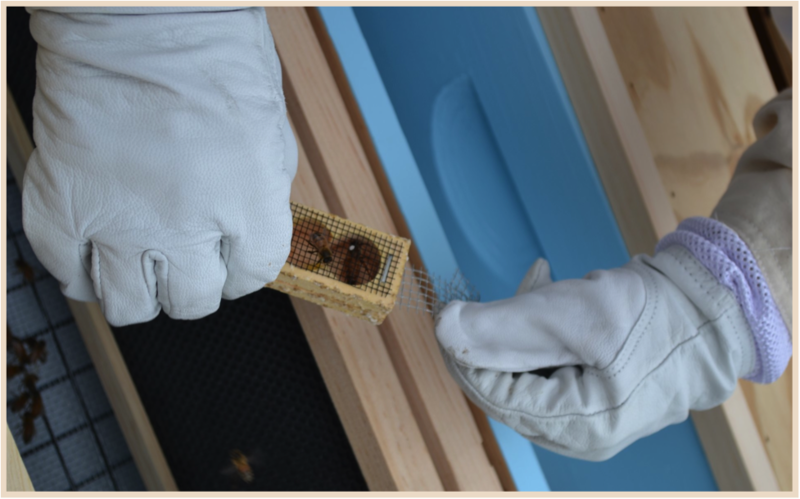 However, honey bees are NOT aggressive and will only sting out of an instinct to protect the hive or themselves (like when you step on one). Sadly, if a honey bee does use its stinger, the honey bee dies. 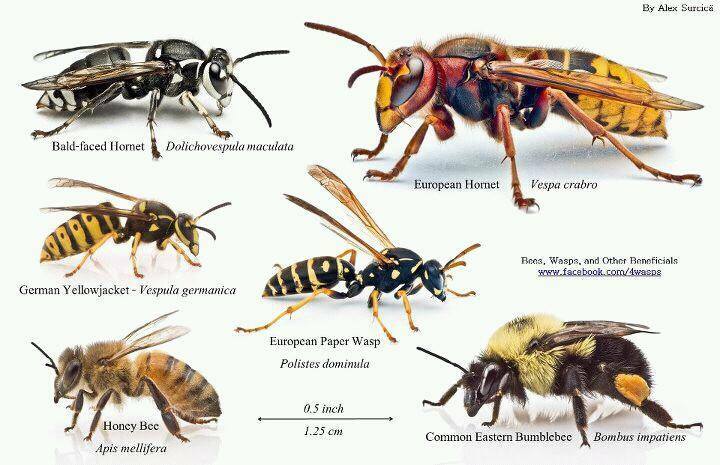 However, wasps, yellow jackets, and hornets can sting repeatedly because they don’t have barbs on their stingers! OUCH! We need honeybees. One-third of our food is pollinated by honeybees. Imagine a world without honeybees. It’s not so unbelievable given the trajectory of Monsanto and it’s control of the food supply. Bees are an excellent indicator of environmental health. The build up of toxins in the environment affect our entire ecosystem and more importantly, us. There’s plenty of research on what pesticides do to people. Do a google search on pesticide build-up in humans and you’ll find liver failure, infertility, brain disorders, and endocrine disruption to name a few. What affects one organism affects another. Spray pesticides and you kill off another being’s food supply. Bats eat mosquitoes. Dragonflies eat mosquitoes. Spray for mosquitoes in your town and you have other dead or sick beneficial animals: honey bees, bats, fish, crickets, fireflies, dragonflies, and other various small insects. By now you should have heard of Colony Collapse Disorder. CCD occurs in areas where there is heavy pesticide use (think factory farms). Nearly all research points to the bee die off being as a catastrophic consequence of pesticide use. Bill Moyers article is HERE. No honeybees? No pollination. No pollination? No almonds. Few fruits. Few veggies. My family is obsessed with honey. We take scoops and eat it right from the spoon. We put it in our tea. I use it as a sweetener in salad dressings, drizzle it on grilled fish, and mix in my barbecue sauce. My husband uses our honey in his granola recipe, and we both love a large helping of honey swirled on a bowl of Greek yogurt. If you need another reason to love honey: a spoonful of honey DOES help the medicine go down…and may keep the doctor away, too! Read more about honey’s health properties HERE. If you’ve ever done taste-testing with honey, you know that each honey tastes a little different depending on the honey’s terroir. Terroir is what makes the honey take on the characteristics, and flavor, of the environment the honey bees traveled. Terroir is often used to describe wine, but it works for honey, too. 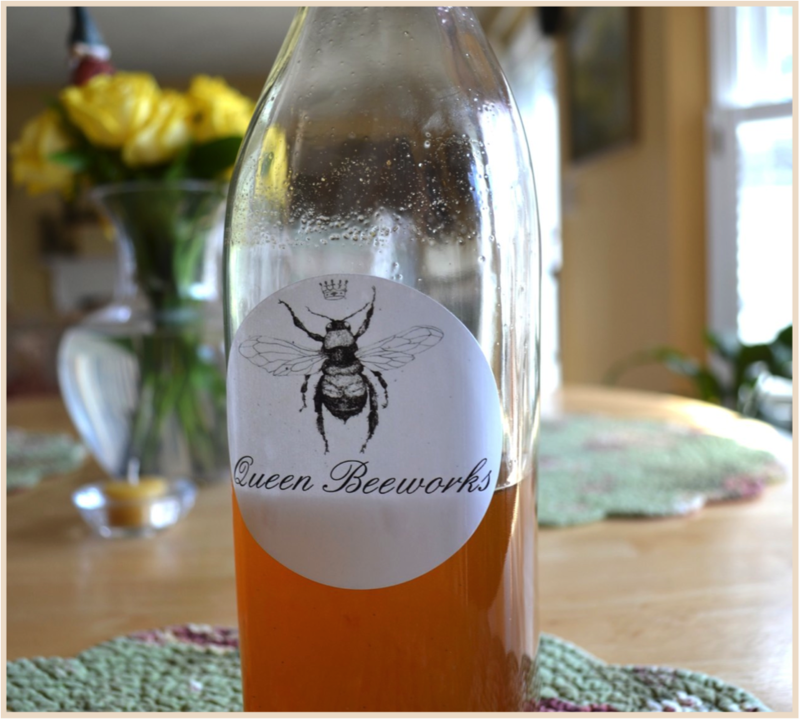 Our Queen Bee Works honey is truly the best honey we’ve ever had – and we’ve had a lot. 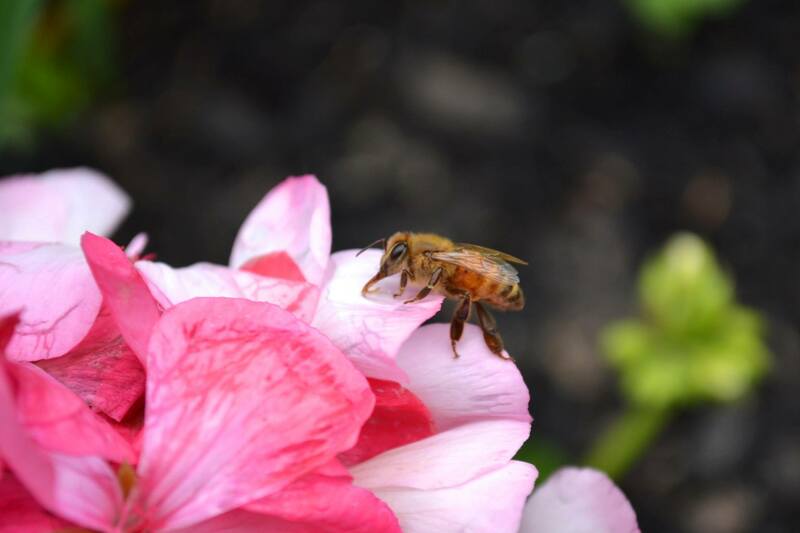 Our honey is classified as “wildflower” honey because the bees took nectar and pollen from all around the area, not just one variety of flower. 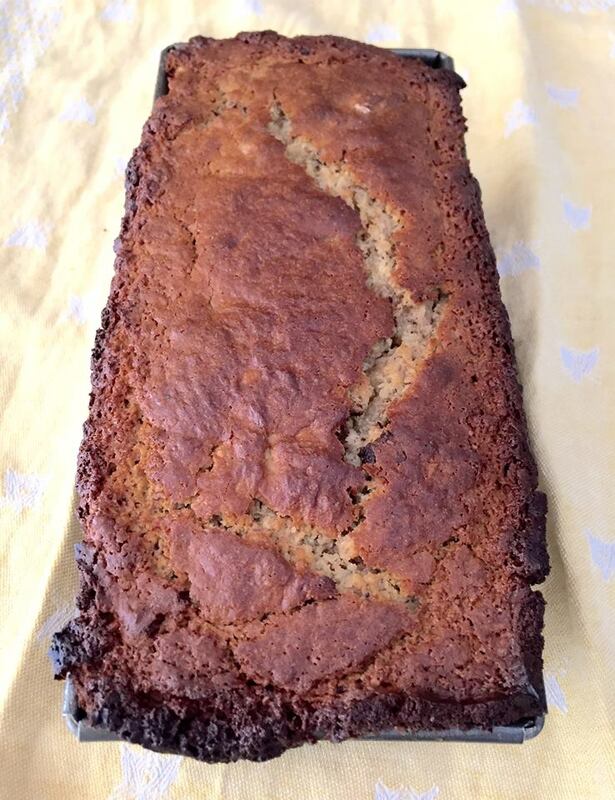 This honey banana bread recipe has been in my recipe notebook for more years than I care to admit. I probably inherited it from my mum. She used to make banana bread (a lot) when I was growing up. She probably made so much banana bread because I wouldn’t eat a banana that had even the hint of a brown spot on it and she didn’t want to waste them. Even now, I will only eat a barely ripe banana! 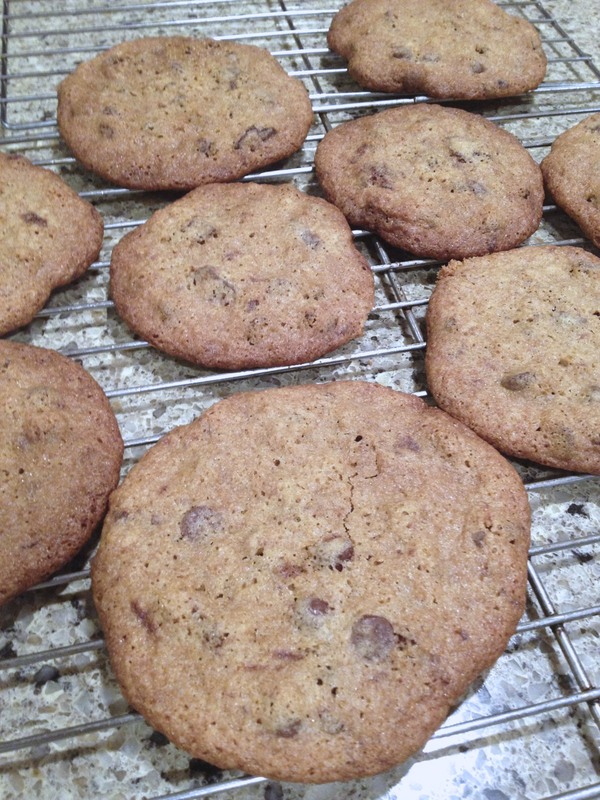 This recipe has evolved a bit over the years, and my most recent addition has been dark chocolate chunks. Bananas and chocolate go together like peas and carrots. Have you ever had a banana dipped in melted chocolate and then rolled in toasted, chopped walnuts? Divine. This banana bread is better. Combine all the dry ingredients in a large mixing bowl or the bowl of a stand mixer. In a medium bowl, mash the bananas with a fork or a potato masher, but be careful not to make them too soupy – keep some lumps in there. Add the yogurt, honey, melted butter, vanilla, and eggs to the bananas and stir gently to combine. Add the banana mixture to the dry ingredients and gently stir until just combined. If you over-mix you risk creating gluten in the flour, and that makes for a tough (not light and airy) bread. Pour the batter into a buttered and floured loaf pan. Bake until golden brown, about 45 minutes. Test for doneness around 35-40 minutes with a toothpick or cake tester. To test a cake or bread for doneness, insert the toothpick into the center of the bread. If it comes out clean, without batter stuck to it, it’s done. If not, check in another 5 minutes. 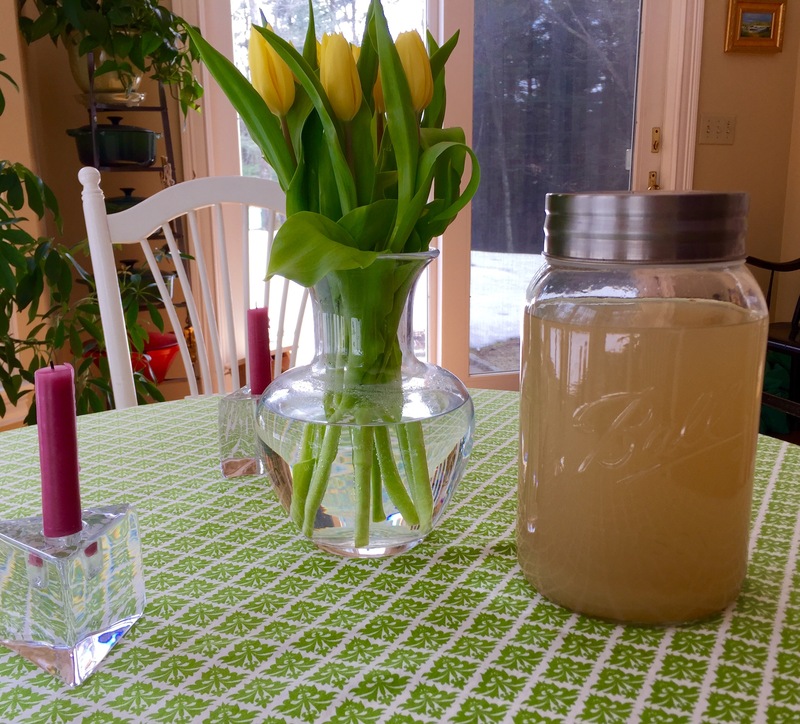 A little note on using honey: I’ve been experimenting in the kitchen with honey. What I’m reading (and learning first-hand) about cooking with honey is that the moisture in some baked good recipes needs to be inversely adjusted, simply because you are adding moisture with the honey. When you substitute honey for sugar, you are essentially adding a little liquid as well as sweetener. If you want to substitute honey for sugar, start off substituting half of the sugar for honey. New Study: Bee Venom Found to Destroy HIV | True Activist. 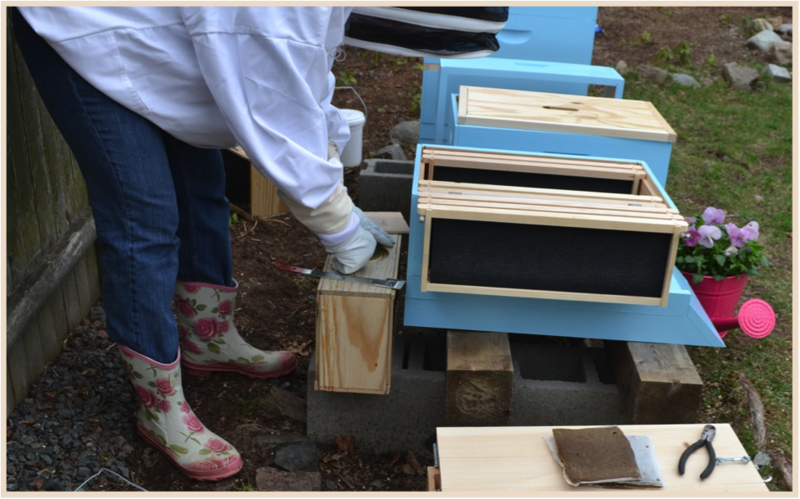 The Salem News : Beekeepers abuzz over mosquito spraying. I saw this photo online today and it made me smile. Summer is waning and a new school year is beginning for teachers, children, and families. 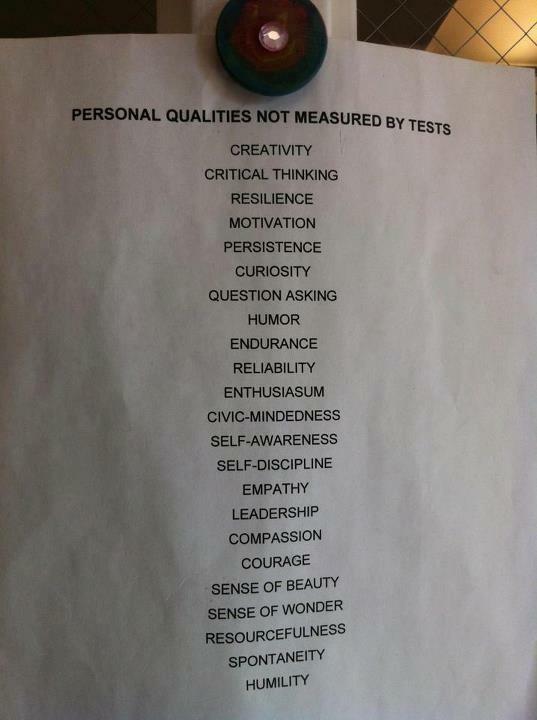 I think it’s important to be reminded that flexibility, a sense of wonder, creativity, motivation, risk-taking, perseverance, determination, confidence, and future success CANNOT be measured in a test. Cheers to a great 2013-2014 school year! 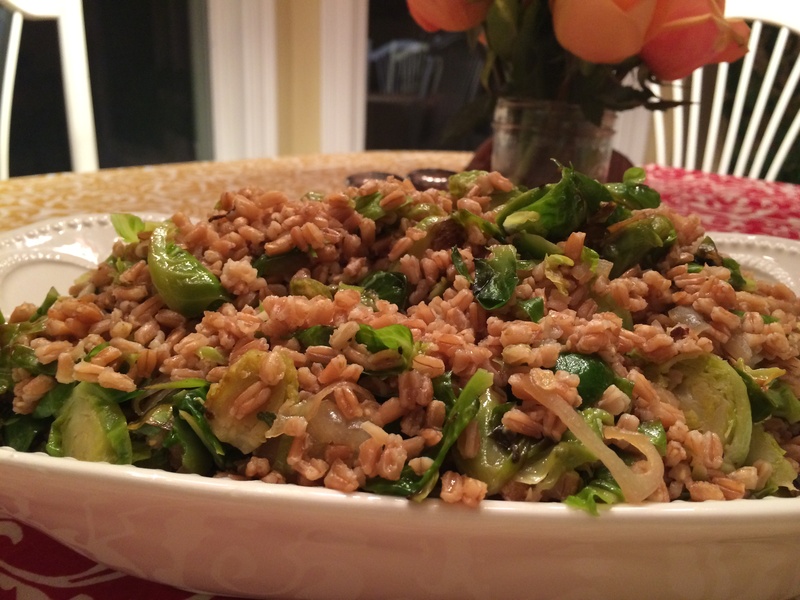 This salad is beautiful as well as nutritious for your body, inside and out. Feeling like summer is slipping away? Go to the market or run to your garden or farm stand and pick up 2 pounds of rosy plum tomatoes (organic San Marzano if you can find them) and make this salad. This recipe keeps you in the summer kind of mood regardless of the weather outside. Serve it with a chilled glass of Pinot Grigio and you have summer on a plate. 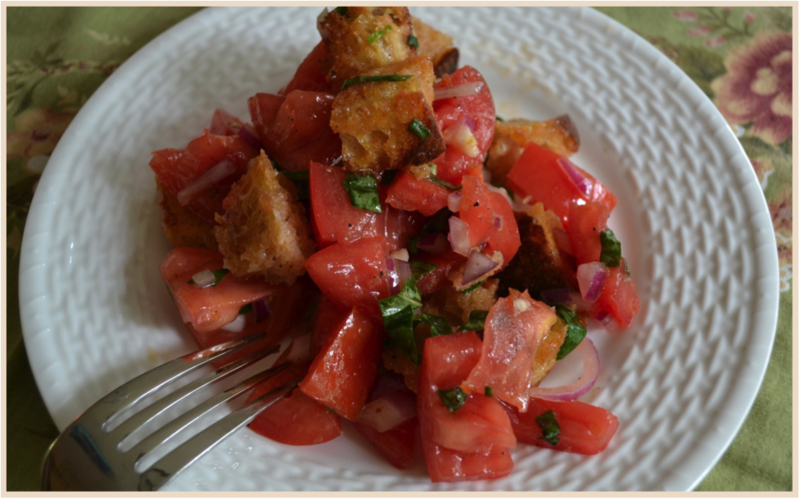 The croutons are key; crispy, savory, and chewy bread goodness. 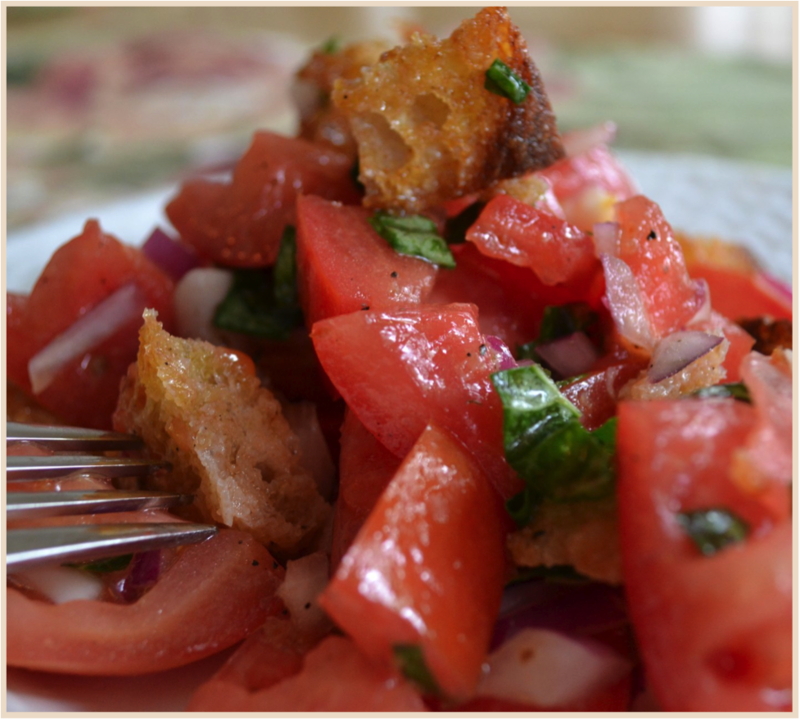 Make them yourself from a loaf of crusty bread – the salad just won’t taste the same if you use pre-made croutons. They take minutes to make and homemade are sooooo much better. You’ll have a hard time not noshing through them before they get tossed with the salad. I probably ate about a cup of them before tossing them in the salad. Directions for croutons: Preheat oven to 375°. Slice ¾ of a crusty boule into rough ½” cubes (about 6 cups). Place the bread cubes into a very large bowl and drizzle with the EVOO, tossing as you drizzle so that the bread chunks don’t become soggy, but get evenly coated in olive oil. Sprinkle the garlic powder over the bread and toss a couple times. Grind some sea salt and pepper over the top and give it one last toss. Spread the bread chunks evenly onto a shallow cookie sheet. 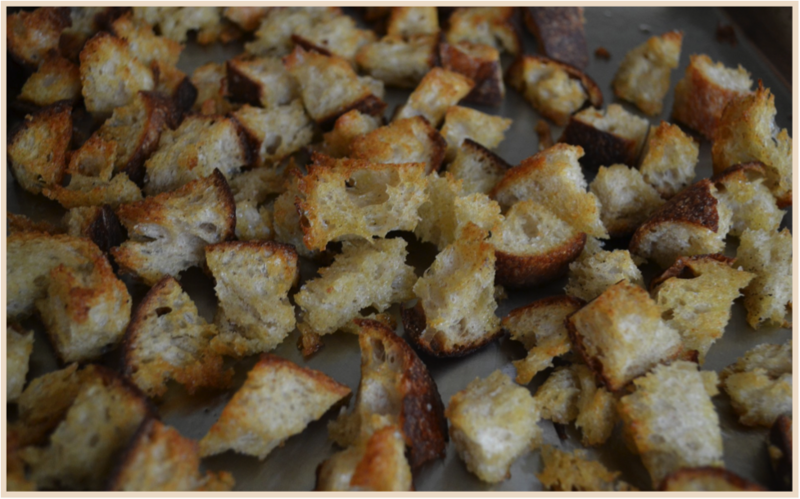 Bake for about 10 minutes or until nicely browned, tossing the croutons about midway through baking. Remove from the oven to cool. Set aside while you make the salad. Directions for the salad: In a large serving bowl, combine the chopped plum tomatoes, red onion, basil, ¼C EVOO, and lemon juice. Season with sea salt and pepper to taste. Gently toss the ingredients. Add the croutons and toss the salad again, making sure the lemon dressing coats all the ingredients. Sprinkle with shaved parmesan cheese if you like. Serve and eat immediately. Some days I just need a sweet and yesterday was that kind of day. I was thinking about (aka craved, needed to have) a good old-fashioned chocolate chip cookie. I was lucky! I had all the ingredients I needed in my pantry to make cookies. I even had an unopened bag of Cup 4 Cup, a gluten-free flour, that I was looking forward to trying. Cup 4 Cup is the creation of co-founders Thomas Keller and Lena Kwak. Thomas Keller is the renowned chef, restaurateur, and award-wining cookbook author known best for his culinary skills as Chef/Owner of The French Laundry, Per Se, Ad Hoc, Bouchon, and Bouchon Bakery and Lena Kwak began as a nutrition intern at The French Laundry, later serving as the restaurant’s Research & Development Chef. The product is aptly named; home cooks substitute Cup 4 Cup gluten-free flour in equal measure for unbleached flour. 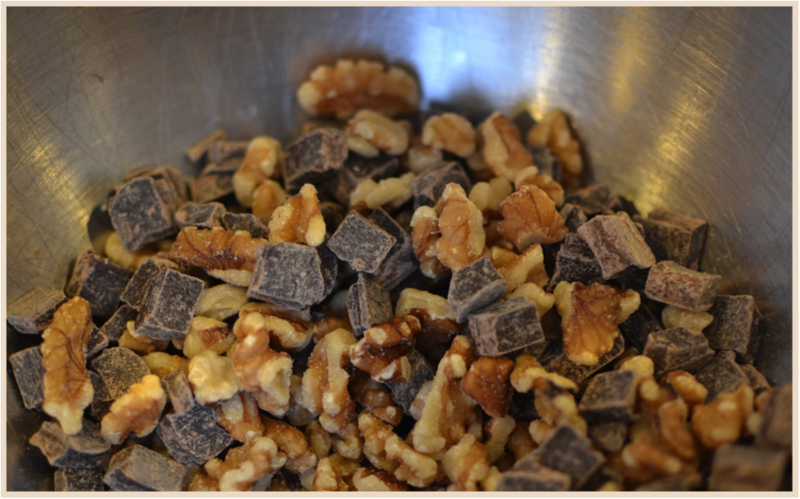 In a medium-sized bowl, combine all the dry ingredients, including the chocolate chips, optional coconut or nuts. Set aside. 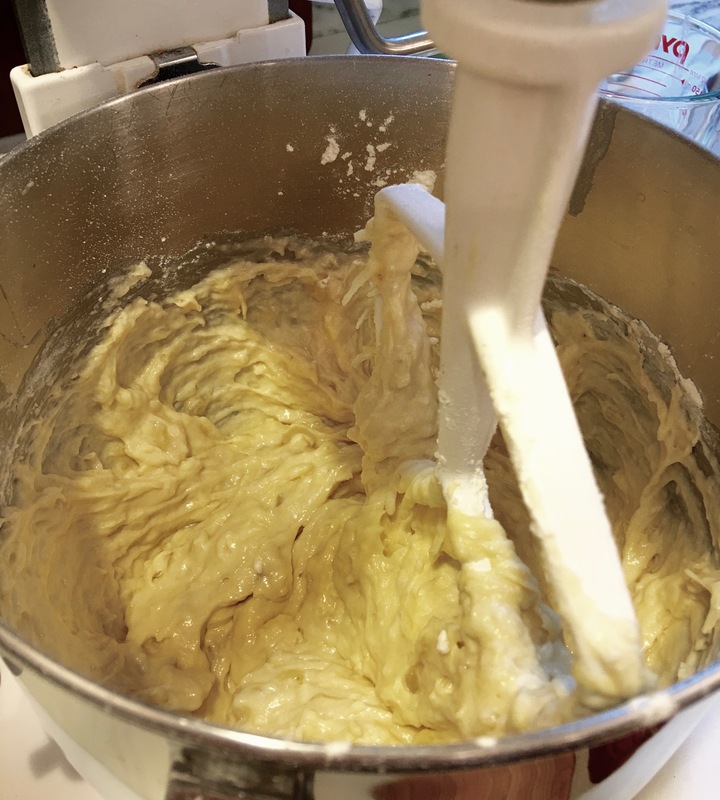 In the bowl of an electric mixer (with paddle attachment), cream the butter and sugars until light and fluffy. Turn the motor to low and add the eggs one at a time. Mix until combined. Add the vanilla and mix until combined. Add the dry ingredients and gently mix until all ingredients are incorporated into a cookie dough. Drop the dough by tablespoonfuls on a baking sheet lined with parchment paper. Bake for 13-14 minutes (14 was too long and 13 was too little). Remove from the oven and transfer to a wire rack to cool completely. I love summer. It’s MY time. And, my birthday (and CAKE!) is right smack in the middle of it. I look forward to summer as soon as the days become noticeably shorter in late October. While some people hate the heat and humidity, I actually like it. Don’t get me wrong, I may occasionally complain if it’s truly oppressive, but the fact that I can throw on a sundress, open all the windows, and head to the beach makes me giddy as a schoolgirl. Since my summers are wide open (I’m a teacher) I spend most of my time outdoors. Summer food means lighter fare and picnicking outdoors! Summer’s bounty is being harvested, the backyard grills are smoking, and the cocktails are lighter and prepared with in-season fruit. Deciding on WHAT to bring on a picnic is always a dilemma. Should it be a selection of cheeses and wine or salads and cocktails? Fried chicken? Or, should we just go pick up lobster rolls and a bag of chips? In the end, the food tastes amazing when you’re outdoors. 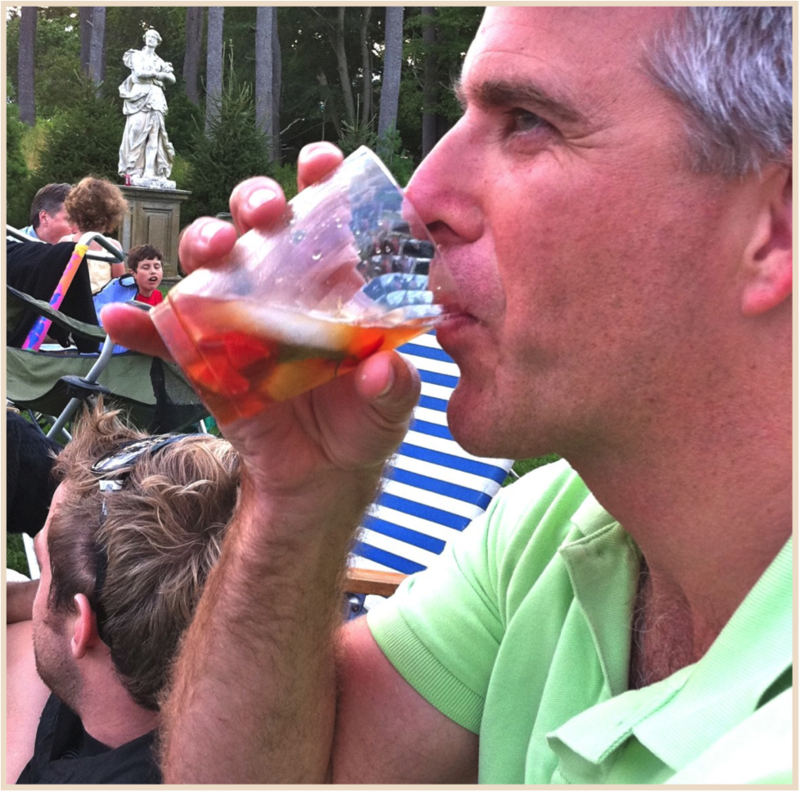 Here’s what I brought to an outdoor concert at Castle Hill, along with a selection of hard and soft cheeses. Pimm’s Cup is an old English summer cocktail. It’s refreshing and beautiful. Eat the fruit! Directions: Toss the fruit and mint leaves in the pitcher. Add the Pimms and give it a good stir. Let sit a few minutes and add enough of the lemon-lime soda to your taste. Refrigerate. Serve in a double old-fashioned glass (or clear, plastic cup) with lots of ice and a spoonful of the fruit mixture. Directions: Cook the rice according to package directions. Cool rice completely. Make the pineapple vinaigrette by combing the pineapple juice, vinegar, sugar, salt and fresh grind of pepper in a small bowl. Slowly drizzle the EVOO to create an emulsion. You can use a blender, hand mixer, or a whisk to do this. In a large bowl, combine the cooled rice, grilled chicken, tarragon, scallions, celery, and almonds in a large serving bowl. Add three-quarters of the vinaigrette and toss. Season to taste. If you like a drier salad, leave it as is. If you are refrigerating the salad overnight and the rice absorbs all the dressing you should add the remainder of the dressing. Check out these 10 Simple Things to Make You Happier At Home. A tenderloin or sirloin steak tastes best when it’s simply prepared: a grind of salt and pepper and a little rub of garlic is all you need. Simple and easy. If it’s cooked right, you can totally taste the terroir of the meat. Last year, my husband and I picked up 120# of pastured meat (in two trips) from The Farm Institute and we (and our family) could taste the salty Martha’s Vineyard pasture. My sister-in-law’s boyfriend and restauranteur raved about the meat on more than a few occasions. Terroir is what makes a wine so special: the qualities of the soil, the air, the environment of a region that affects character and personality. Meat is the same. If it’s pasture raised you can taste the terroir. That said, if you happen to have steak tip meat (aka flap steak or bavette d’aloyau in France) like I did this week, then you need a marinade to make it shine. Bavette can have a bit of a chew and marinating the meat tenderizes and infuses it with flavor. I was ready. Or so I thought. I had prepped the onions for grilling, had the vegetables ready for roasting, and our Big Green Egg was standing sentinel on the patio. Then I realized that I didn’t have a marinade OR steak sauce. I threw my purse in the car and drove to my local market where I then wasted ten minutes of my life (I’ll never get back) walking aimlessly around the store trying to find the steak sauce aisle. Why is this so difficult? After giving in to being lost and annoyed with myself, I asked a roaming worker (that I had to search for and lost another 5 minutes of my time) where I would find the steak sauces. He cheerfully led me to the shelves, like a parent leads an errant child, to the array of bottles. Of course I had to read the labels. Every single bottle (no lie) had corn syrup or high fructose corn syrup as the second and/or third ingredient. Not one organic brand or one made with honey, agave, or natural sugar. No thanks! I’ll make my own. My steak sauce and marinade is wicked awesome. It’s easy and quick to prepare. It took me less time to make it than it did to go to the market and back. AND, it’s husband and kid (adult daughter) tested and approved. In a medium sized bowl, combine all ingredients. If you feel it’s too thick, add water a tablespoon at a time until desired consistency. 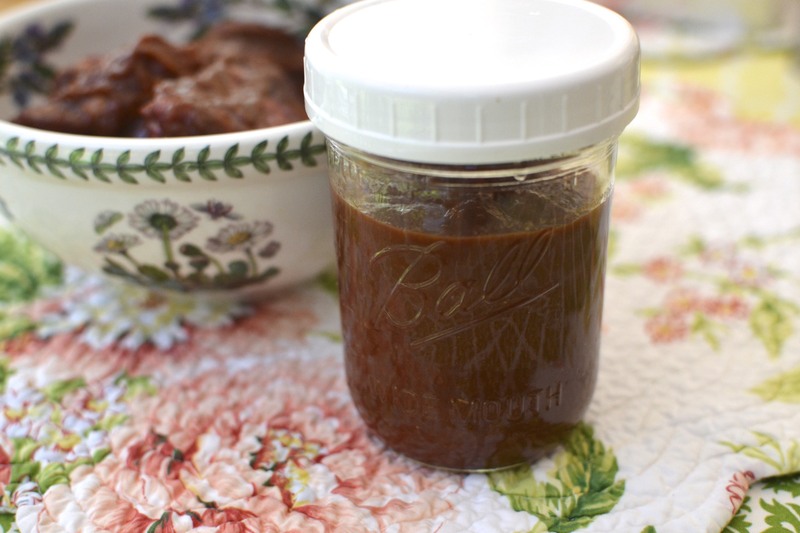 Use as a steak sauce or marinade. Can be refrigerated for a month.